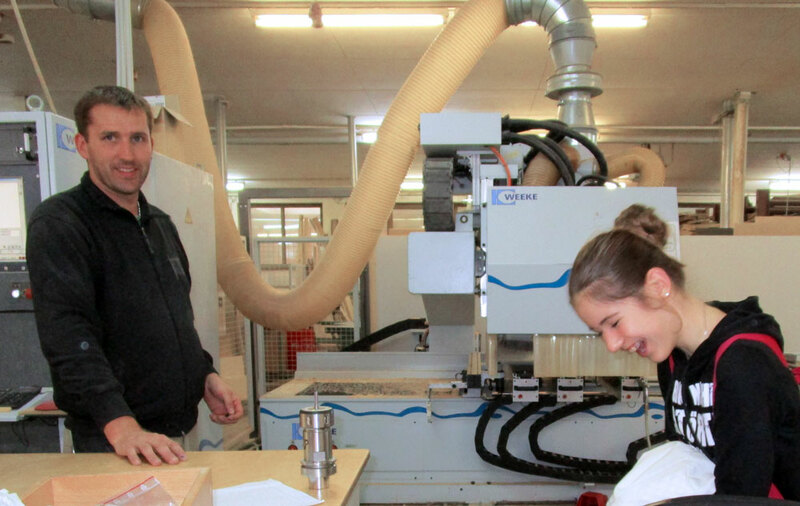 In September the annual craftsman day at the Geschwister-Scholl high school took place in Vechta. 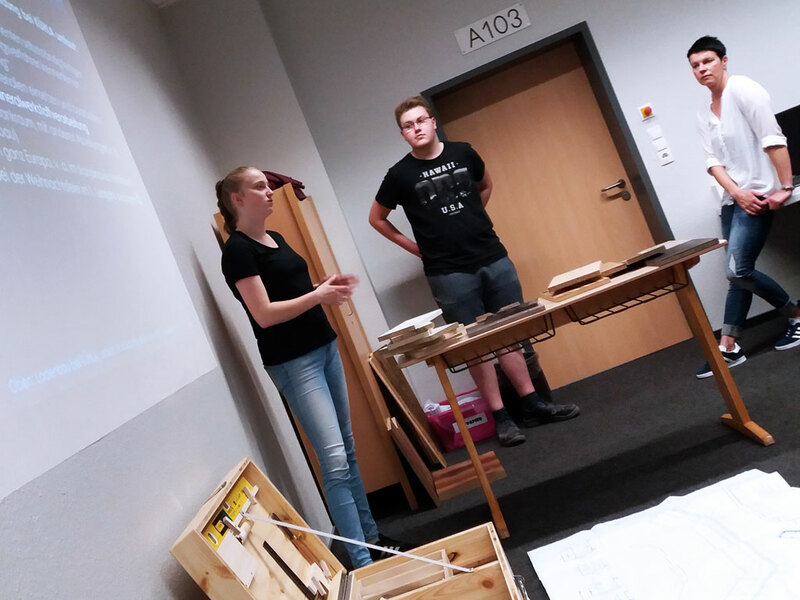 Together with many other companies from Vechta and its surroundings we have also taken part again to give an overview to the 8th grade students about the training and career perspectives in the craft trade sector of the region. 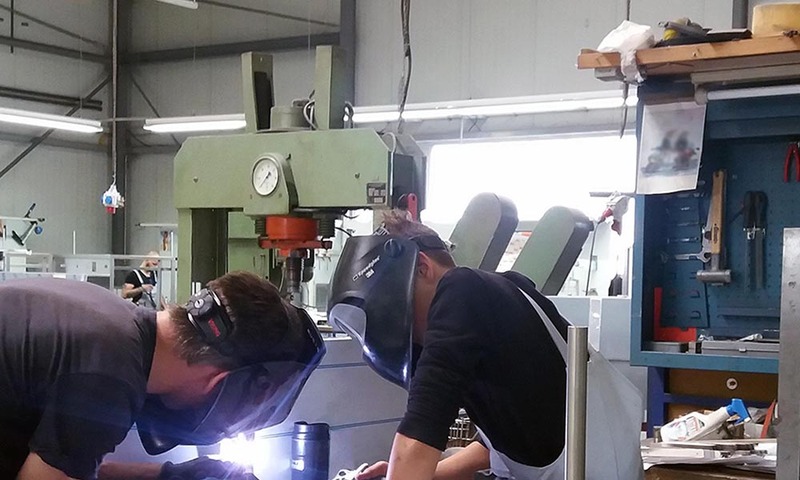 Our topic this year: The training as metalworker (m/f) at KÜHLA. 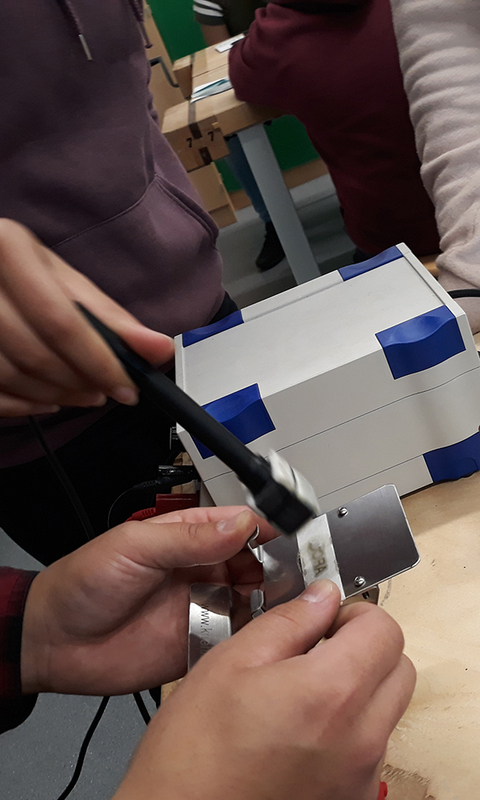 The young talents became the possibility to try out how to process metal into a smartphone charging station. How are threads cut into a screw hole? How are metals bolted together? 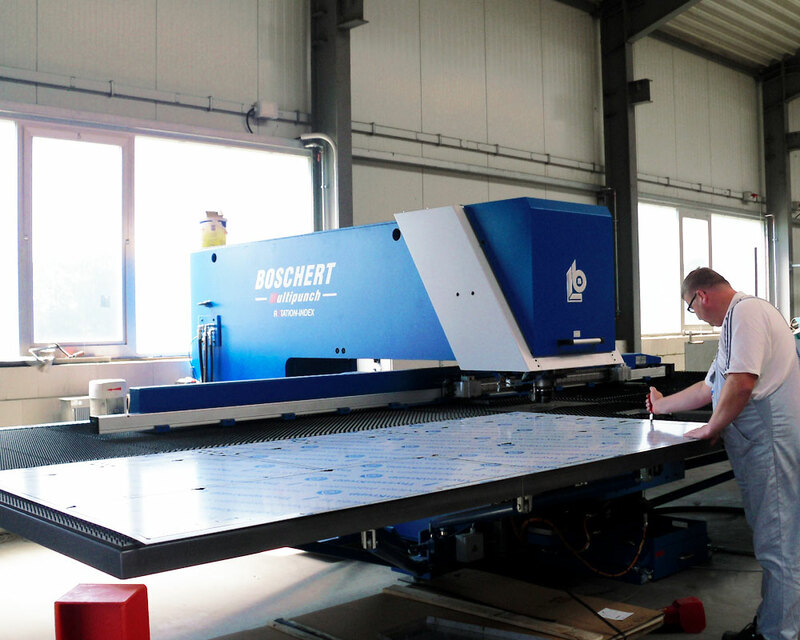 And how can you engrave metal sheets by using acid and electricity? We were very pleased about the interest and the increased participation and we hope that the students could gather many interesting impressions for their own future. Next year we will be back at the Handwerkertag 2019. And of course we will have some "hot irons" again to touch and try. 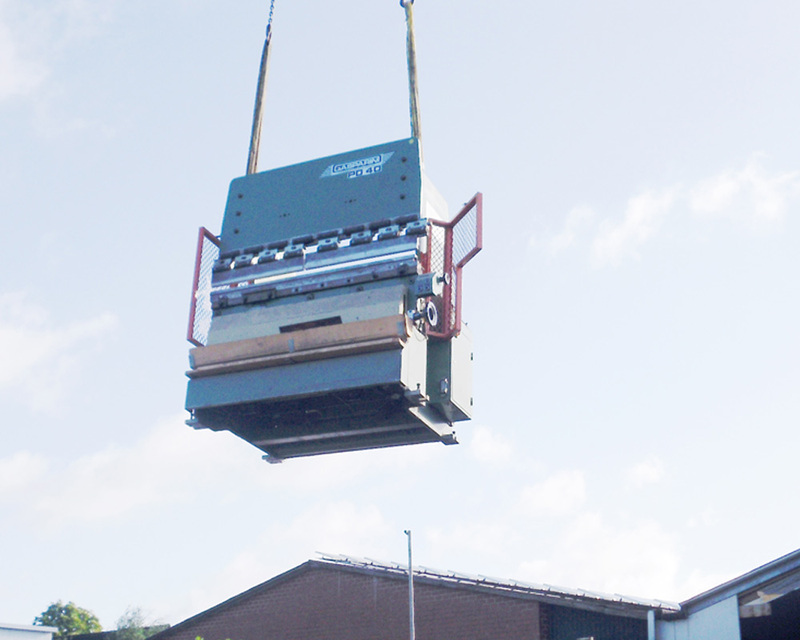 More steam for fresh fish! 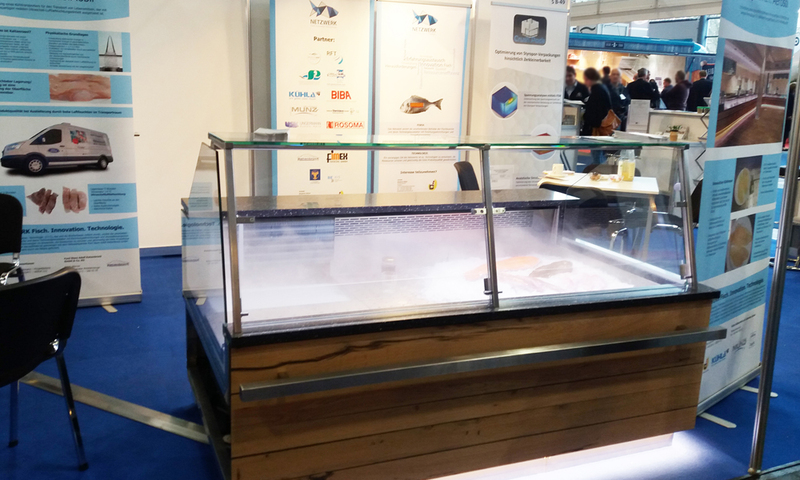 While the temperature falls below freezing in the outer area of the trade fair halls, exhibitors from all over the world presented their "hot news" at this year's "fish international" (25th – 27th February) in Bremen. 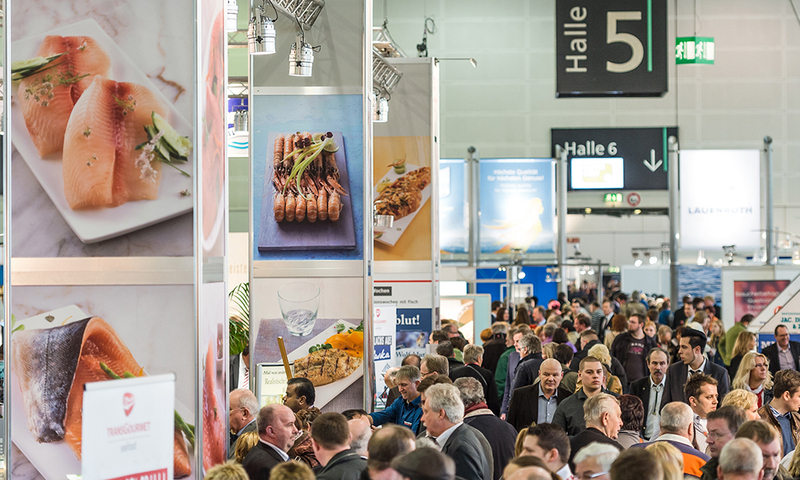 Fish and seafood in all its facets, new technologies, new catering concepts and framework programme – the roughly 300 exhibitors had plenty to offer for the more than 12.000 trade visitors. 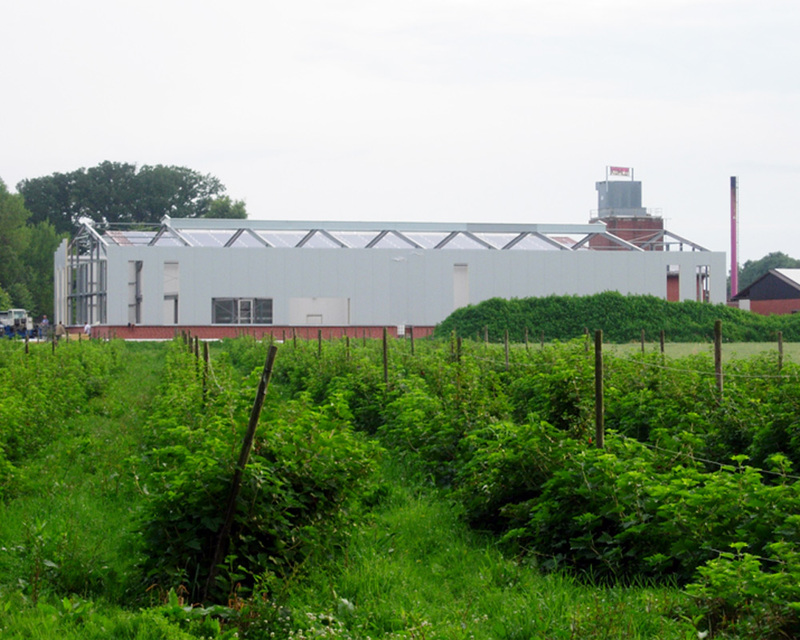 In cooperation with the ttz, Bremerhaven, the refrigeration plant manufacturer Munz from Ilsfeld-Auenstein and the fish trade "Fisch 2000" from Bremerhaven, we have developed a novel concept for the sustainable food cooling over two years. At the "fish international" 2018 we presented our prototype for the first time to a broad professional audience at the trade fair stand of the network "Fish. Innovation. Technology." 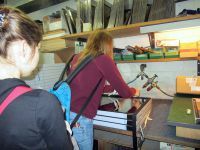 A big counterpart of the trade fair model is already successfully in use at "Fisch 2000". 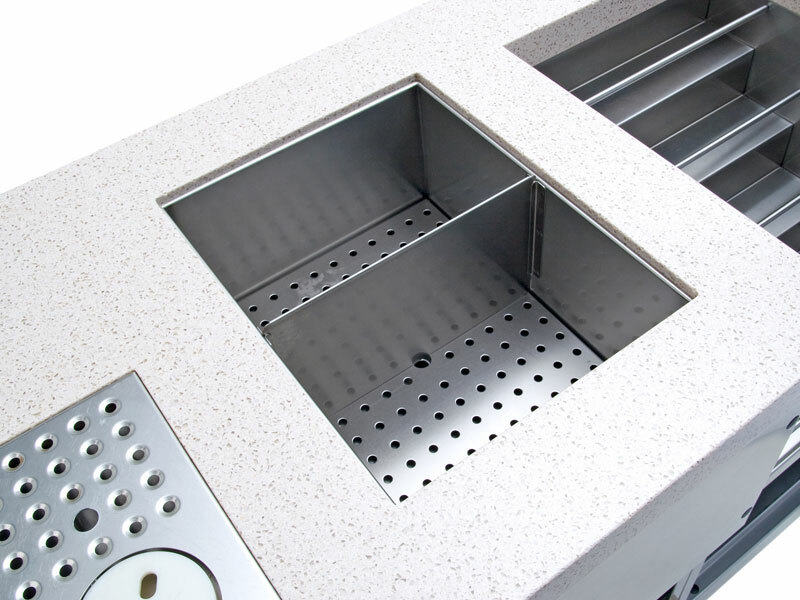 In the future; the cooling counter concept should set new impulses in the catering and food industry. The first thing you notice when you look at the counter is the mist in the display. It is a real eye-catcher, created by the use of ultrasound technology. The technology turns water into the finest droplets. 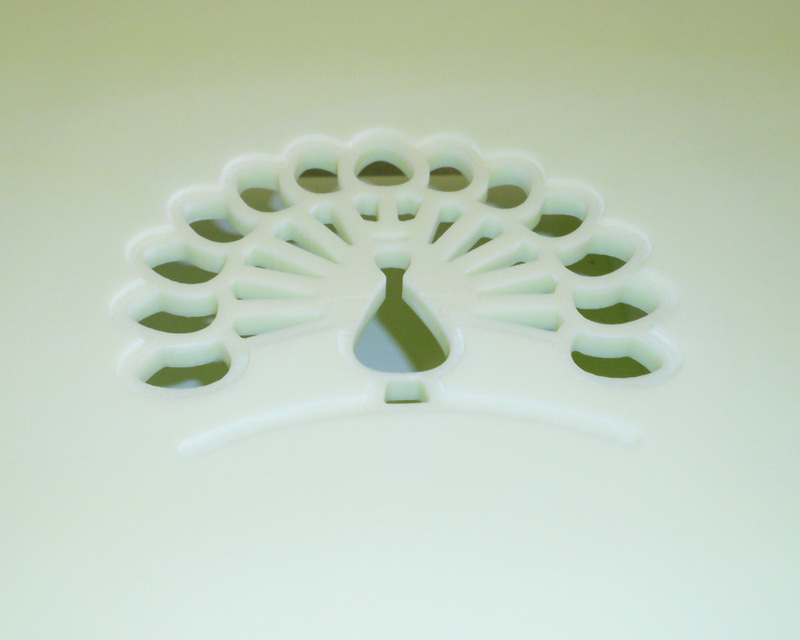 The resulting moist mist protects the food very effectively against drying out. 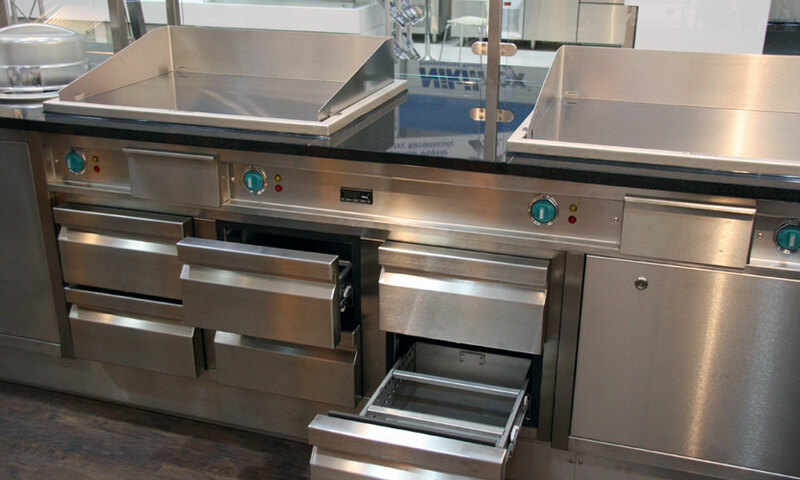 Also in terms of the refrigeration technology, the counter has some innovations in store. The counter works with a modified "silent cooling" that uses cooling brine based on sugar beet syrup. 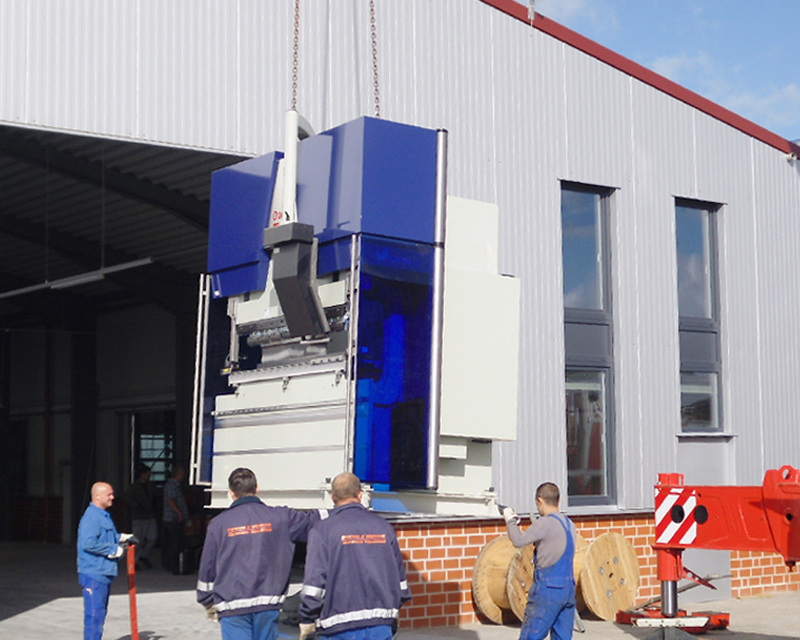 "Now we can present together a really environmentally friendly technology. 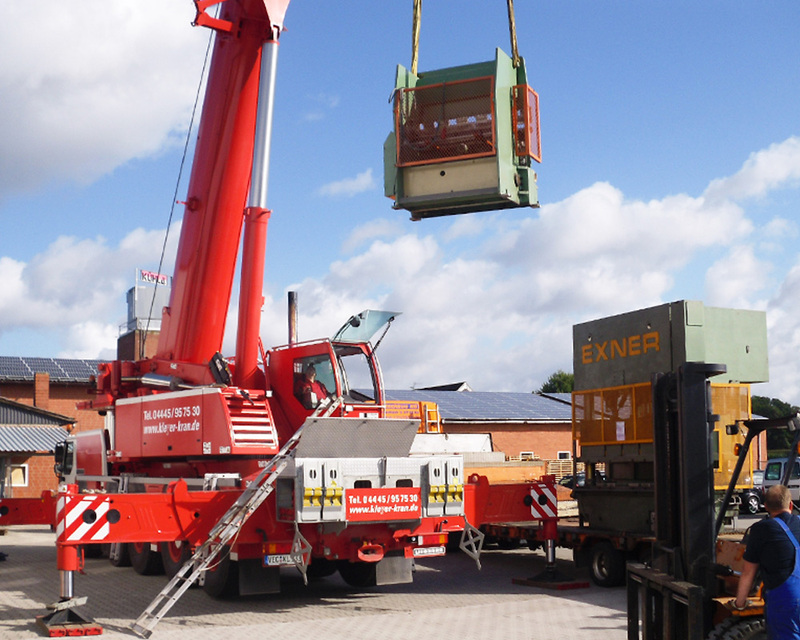 The operator also benefits from the new cooling concept in relation to the operation costs”, emphasizes KÜHLA Managing Director Thomas Brackland. 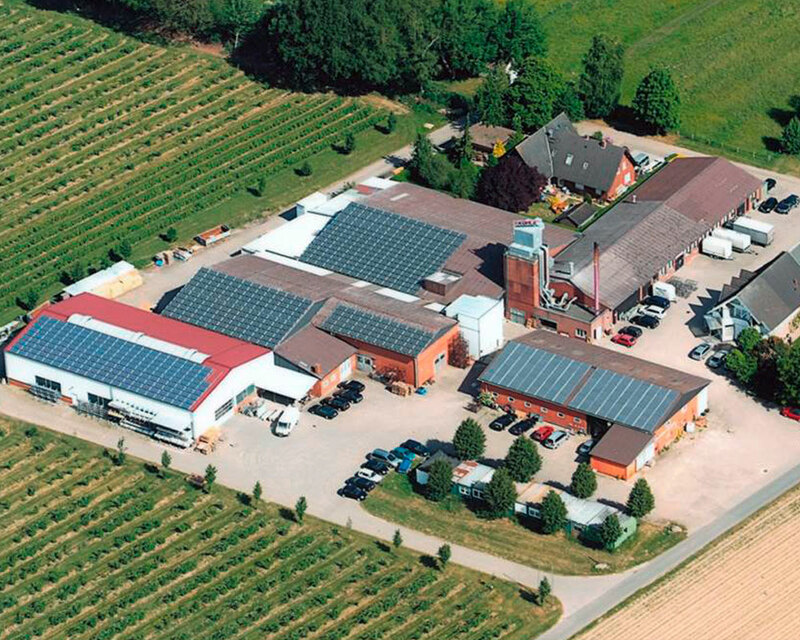 "A technology with a future for the entire food industry," says Benjamin Küther, Head of Strategic Business Development at the ttz. "We already use the ultrasound nebulization very successfully in the baking industry, for fresh cut flowers and for fruits and vegetables." A more extensive application, for example in mobile food counters, he can also imagine. This was also evident at the trade fair. "The response is overwhelming!" Brackland rejoiced about the great public interest. 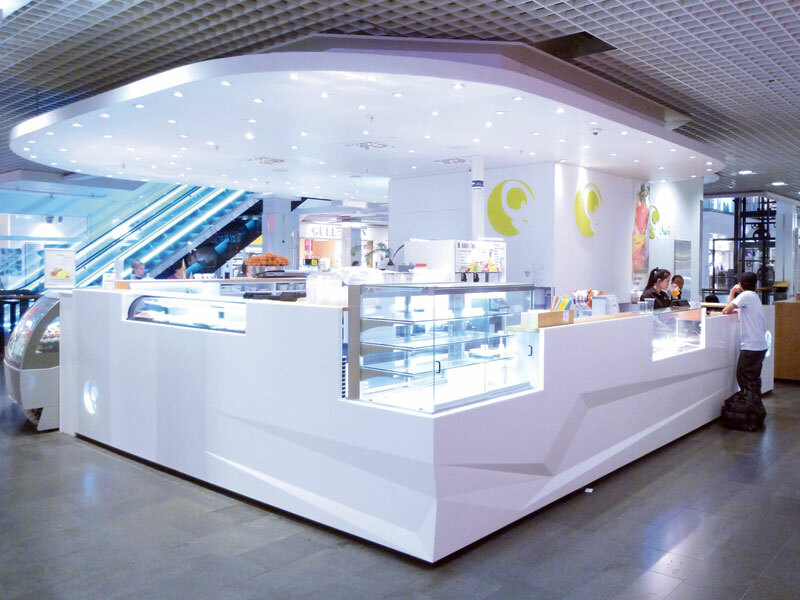 "We had a lot of good discussions and were able to inspire store planners and restaurateurs for the new technology." The network "Fish. Innovation. Technologie. "(www.fisch-innovation.de)and the resulting cooling counter is a successful example of the exciting impulses that can come from the partnership between science and practice. A partnership with future when it comes to project manager Sonja Guttmann from the ttz: "The cooperation has led to great results and was extremely pleasant and constructive." 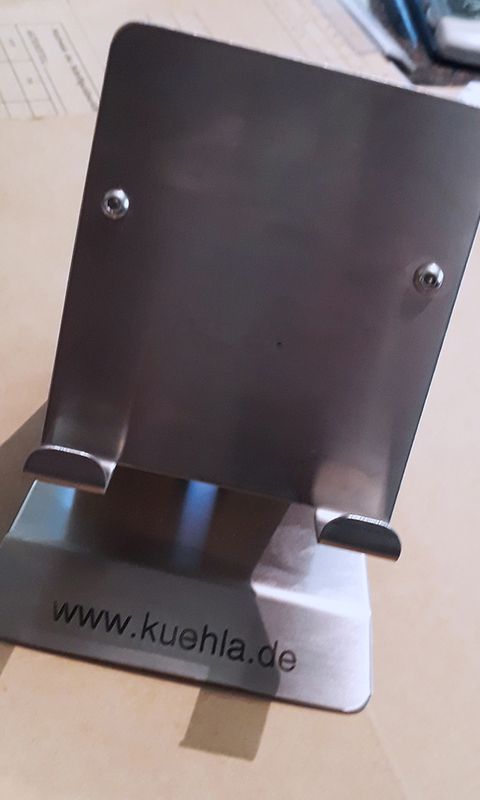 New projects with KÜHLA as a partner, she can imagine if it’s time again for the motto: More steam for the optimal interaction of sustainability, enjoyment and profitability in the food industry. Picture 2: he exhibitors were pleased about the great public interest at the trade fair stand of the network "Fisch. Innovation. Technology." 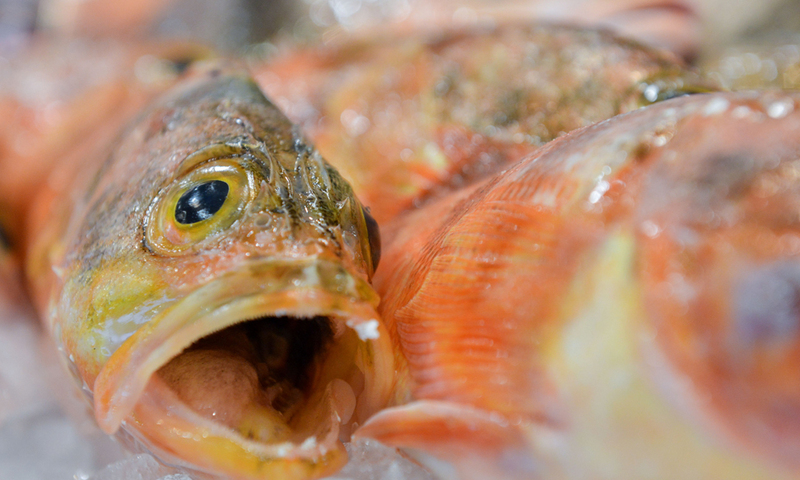 Fresh ideas for fresh fish! 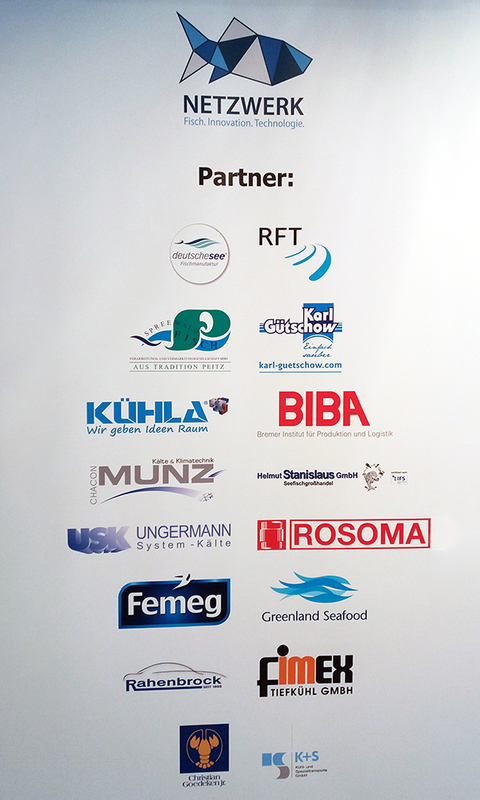 From the 25th–27th February 2018 you’ll find us as a co-exhibitor together with the ttz Bremerhaven at the trade fair "fish international" in Bremen. 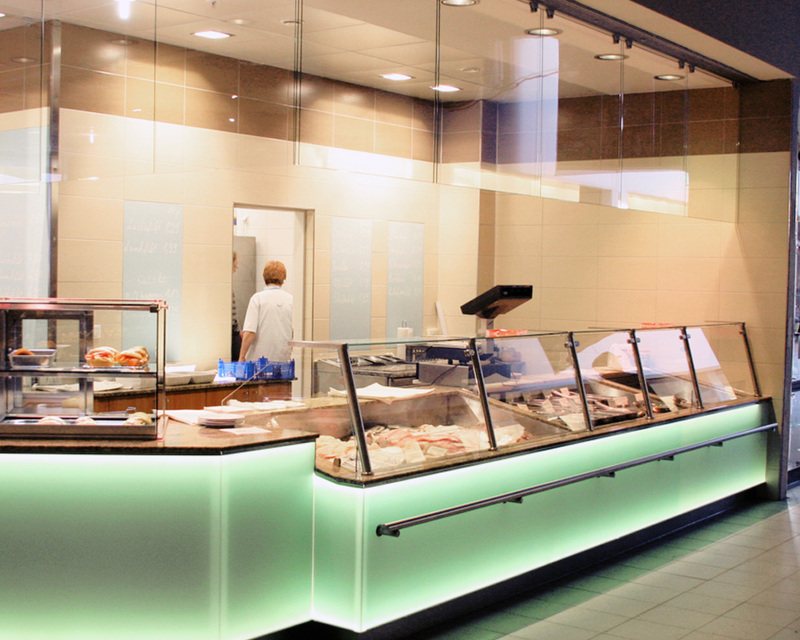 There we will present a new concept for the sustainable cooling of fish in a food-serving counter. 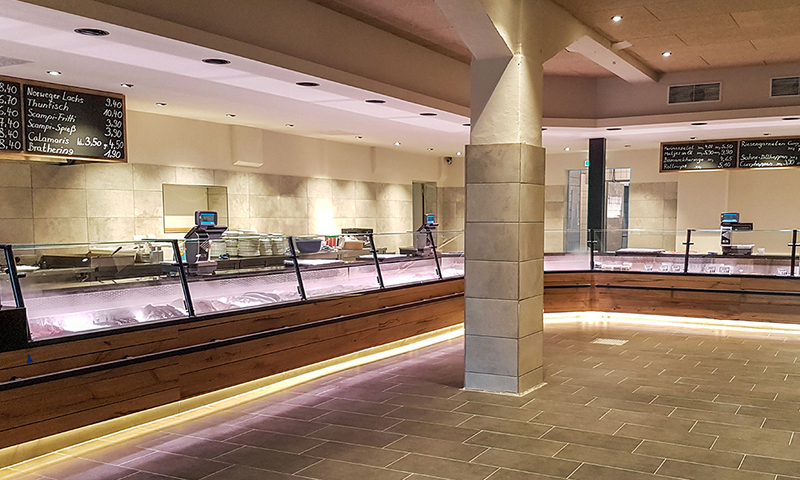 The new counter-concept was developed in a federally funded research project over two years. 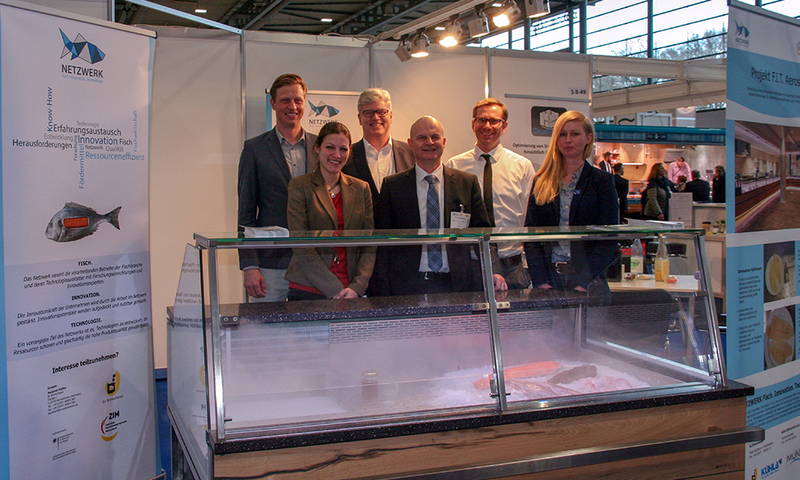 Now we have brought it to market maturity together with our partners, the research institute "ttz Bremerhaven", the refrigeration plant manufacturer Munz from Ilsfeld-Auenstein and the fish trader "Fisch 2000". New is a modified silent cooling instead of the classic convection cooling. It works with refrigeration brine based on sugar beet syrup. The use of classic refrigerants becomes obsolete; in the result the new technology protects the environment and reduces operating costs. 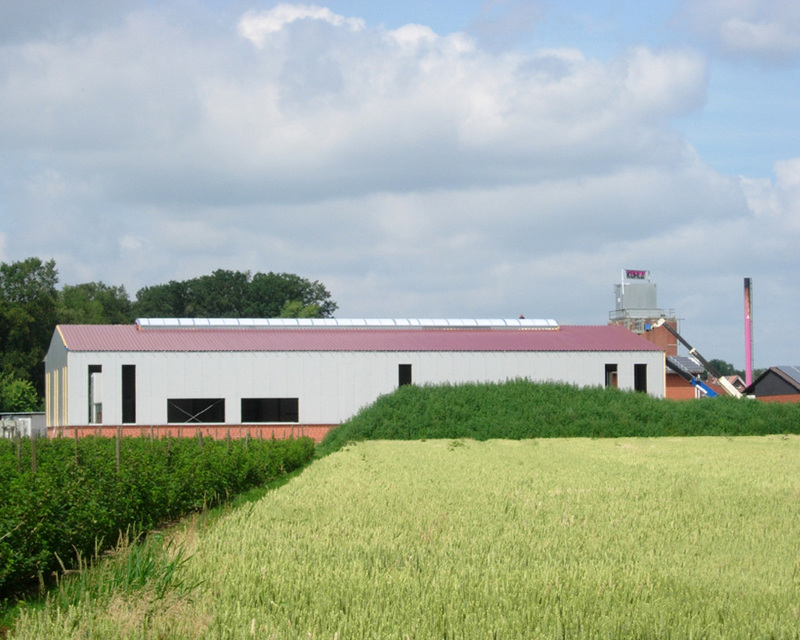 According to the KÜHLA-manager Thomas Brackland the technology can also be used for the cooling of many other foods, for example meat or vegetables. Thus, for the future, many other applications in the food industry can be imagined. Also new is the use of ultrasound-technology in the counter. This technology turns water into finest droplets. That protects the food from drying out, so they stay fresh for much longer. 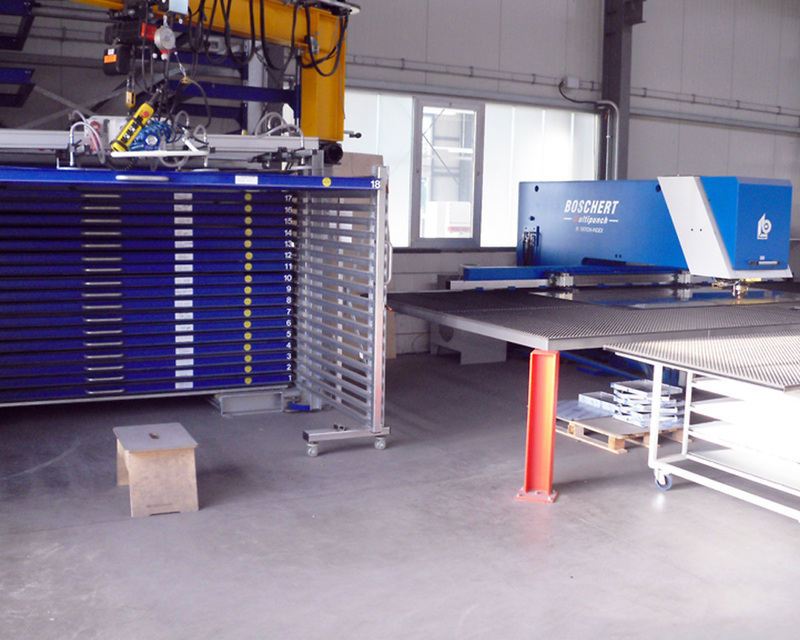 KÜHLA was responsible for the planning and construction of the 18 meter long counter-prototype in this project, which is now successfully in operation at "Fisch 2000" in Bremerhaven. The idea for the project was born in the network "Fish. Innovation. Technology " about two years ago. The network is supported by the Federal Ministry for Economic Affairs and Energy. 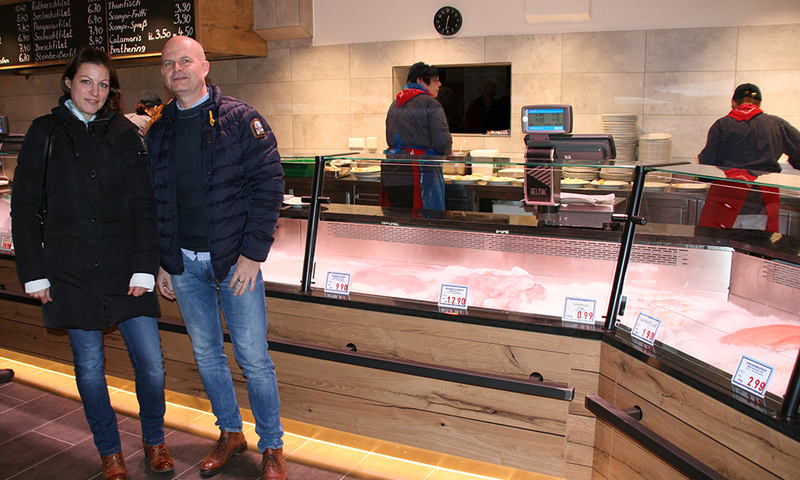 Trade visitors who are interested in the new counter concept have the opportunity to meet us at "fish international" on the exhibition stand of the network (stand number 5B-49). From Sunday to Monday from 10am to 6pm and Tuesday from 10am to 5pm, you can have an exclusive look at one of our new counter models. All information about the trade fair “fish international” like arrival, tickets and prices you’ll find at http://fishinternational.com. 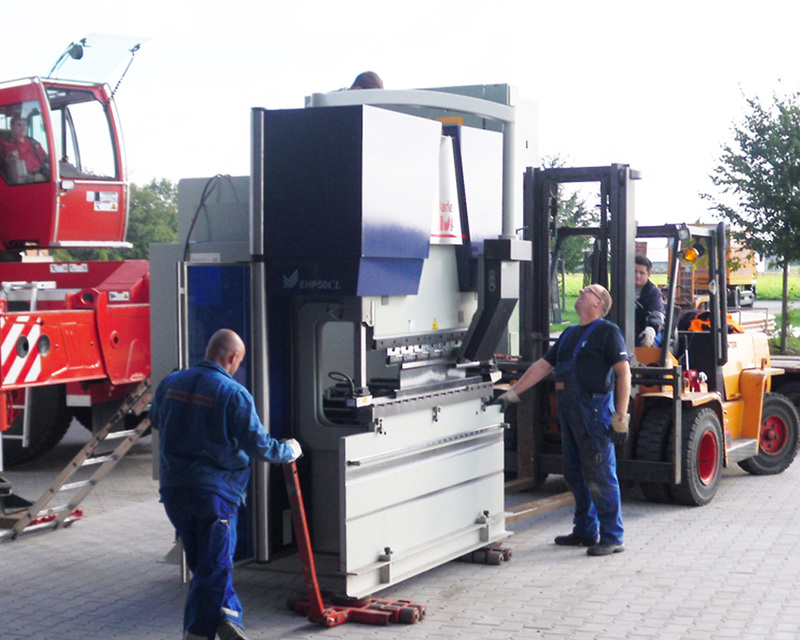 Fotos from left to right: ttz Bremerhaven/Benjamin Küther; "MESSE BREMEN/Jan Rathke", "MESSE BREMEN/Oliver Wachenfeld"
In August, we are pleased to welcome three new colleagues in our team. Christian (1. Pic. ; middle) has started his training as a metalworker in our metal workshop since beginning of august. Harry (1. Pic. ; left) is more enthusiastic about the natural material of wood and so he started a training as a carpenter at the beginning of this month. Our new colleague, Sönke (1. Pic. ; right), has already completed his apprenticeship as a carpenter successfully. After a short introductory internship, now he is a great help for his new colleagues in our carpentry. 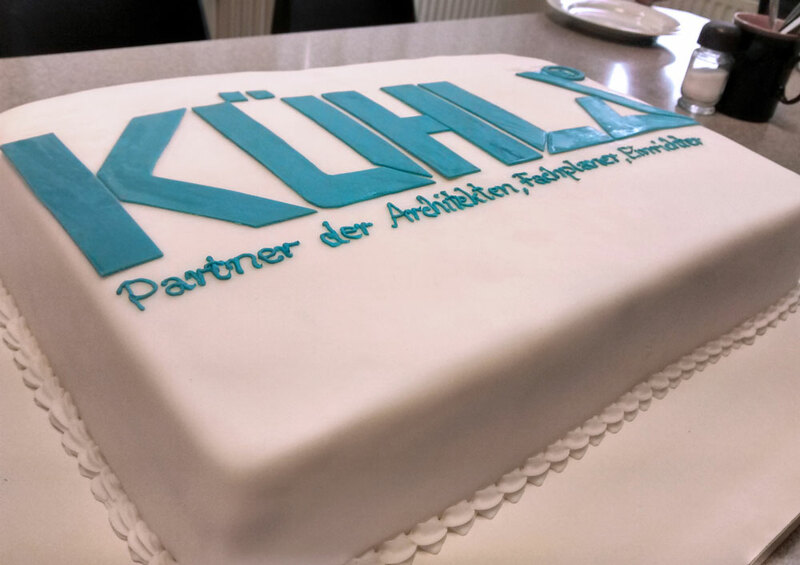 We are really glad about the great new support in our team and wish all our new colleagues a good start and a good time at KÜHLA. 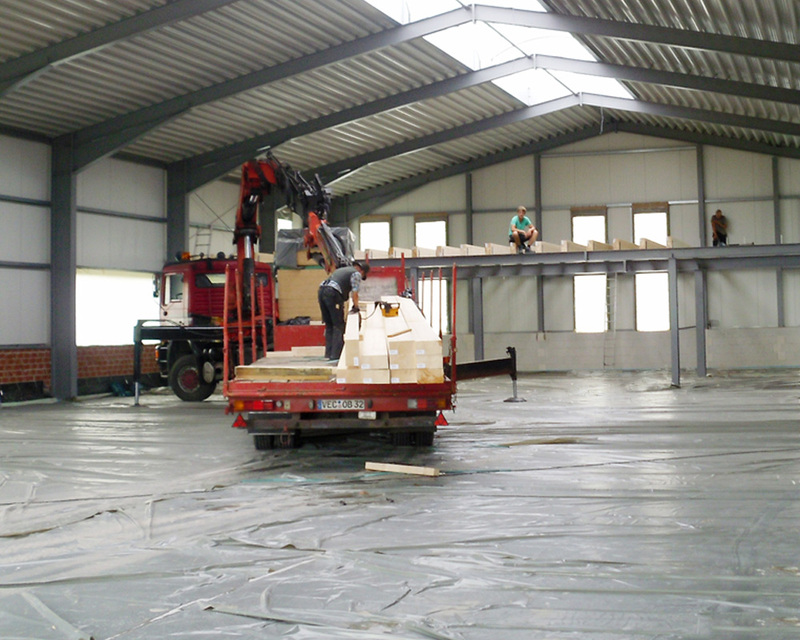 Our new factory work floor is coming soon. 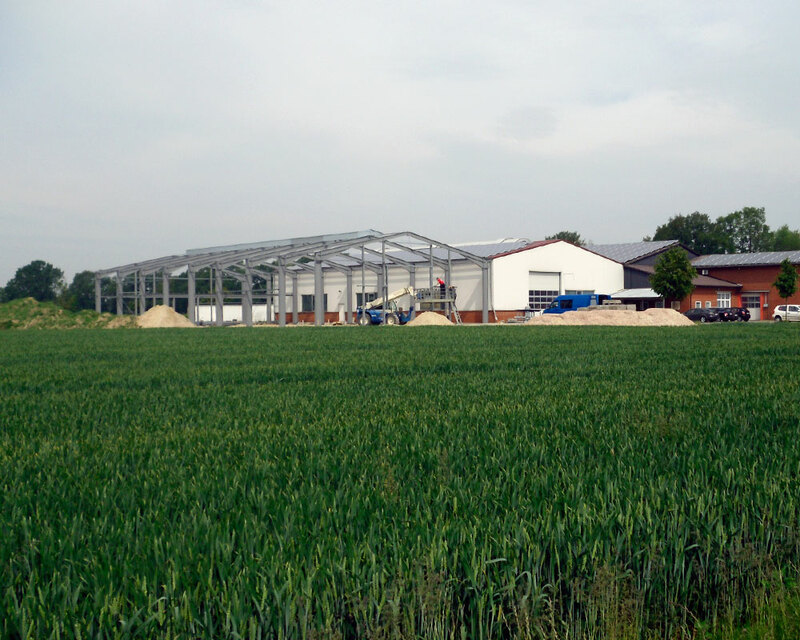 The preparations for the construction on the KÜHLA factory premises are in full swing. 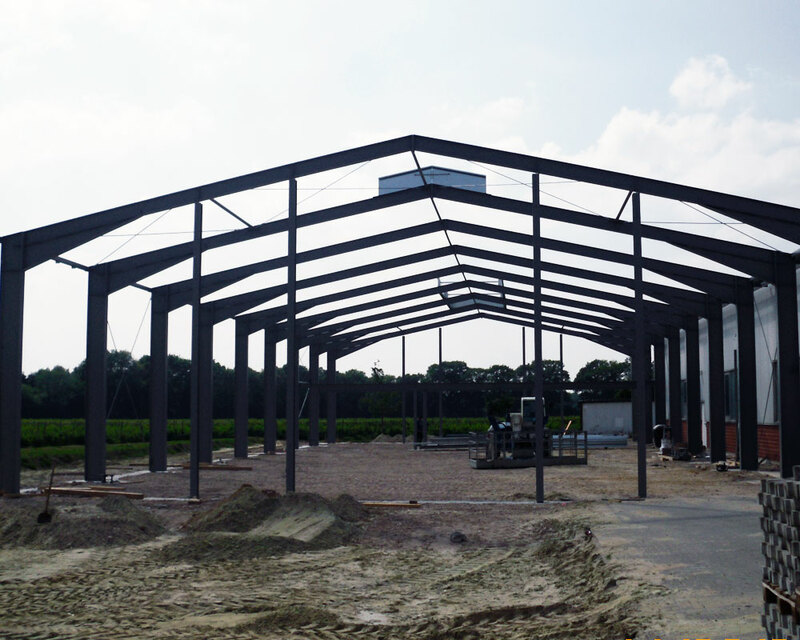 More working and production areas will be generated here to realize customer requirements and ongoing projects even more efficiently. 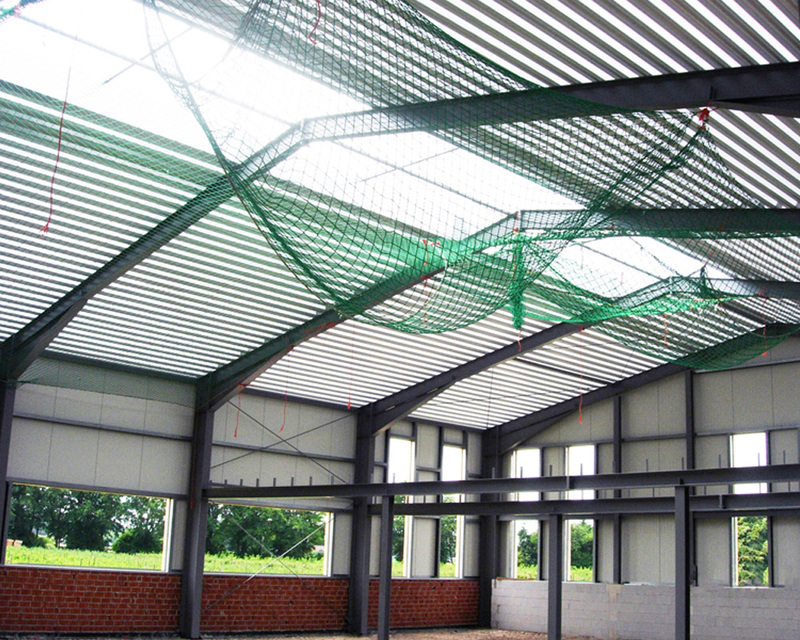 The new spatial capacities also shall give our customers and visitors an impression of our work, our products and objects. 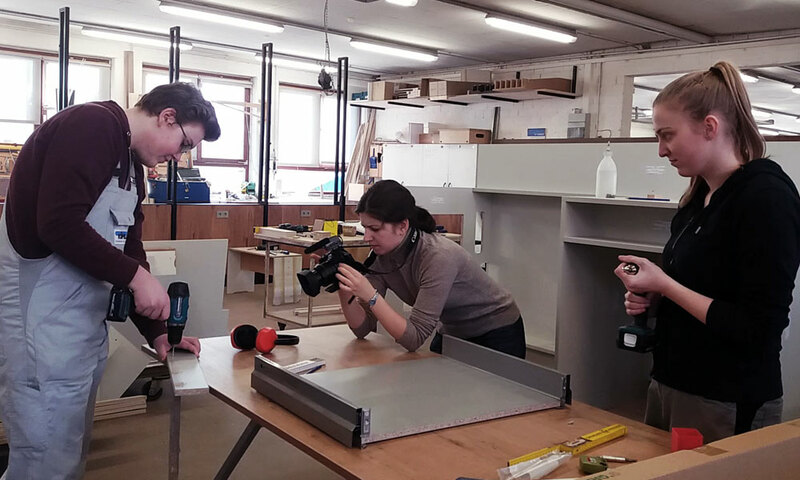 While the stars on the red carpet of the Berlinale gave honor to themselves, in early March our carpenter’s workshop also becomes a little film set. 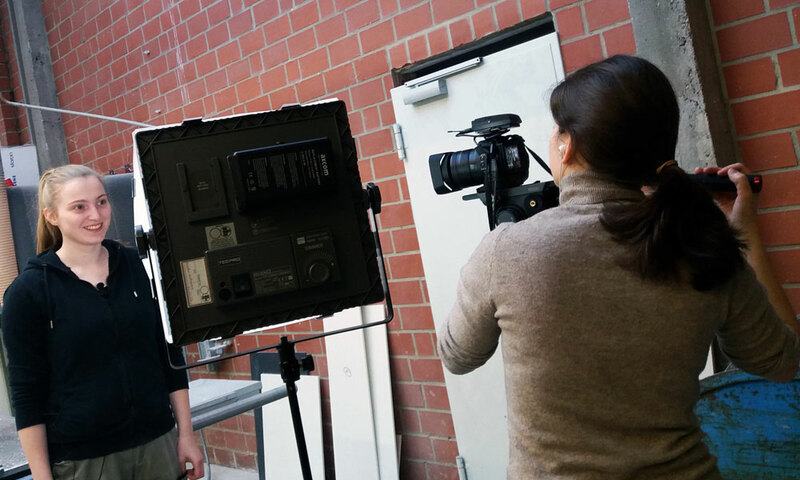 Our contribution to the film world: A portrait about the carpenter training in our company. 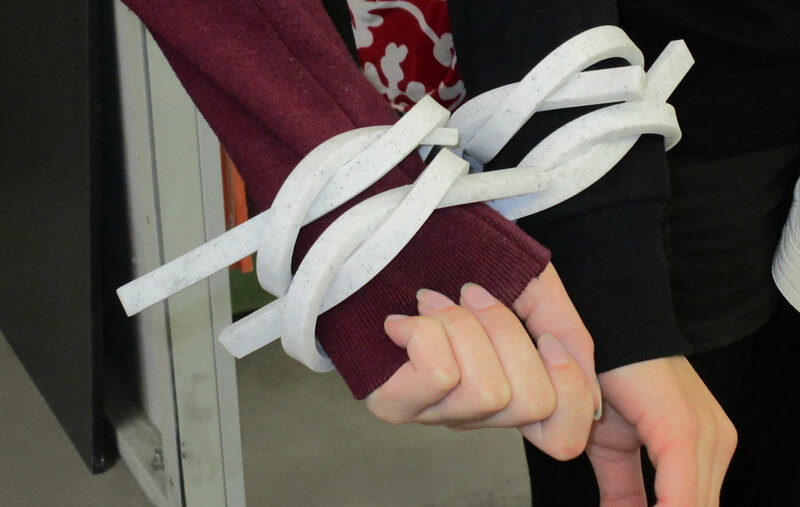 And about Lisa and Luca, who complete this training here at KÜHLA. 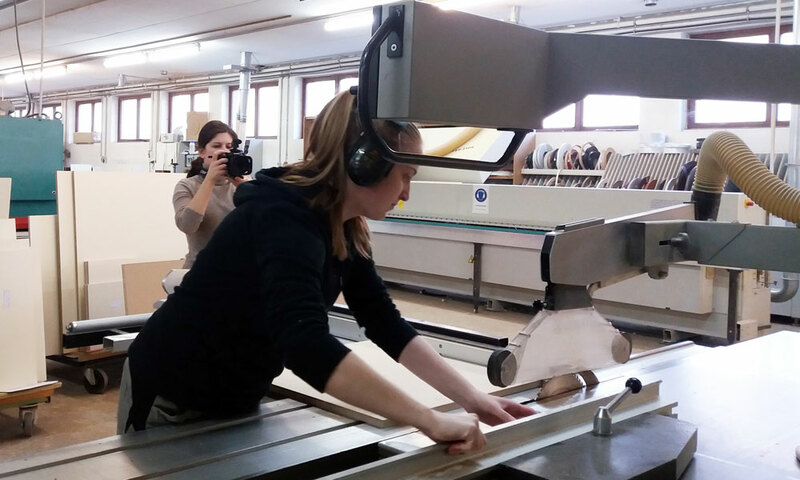 Crossmedia editor Anuschka Bacic from the daily paper “Oldenburgische Volkszeitung” has accompanied the two with a camera on their day-to-day professional work between master, measuring tape, saws and hammers. In an interview Lisa and Luca told Anuschka a lot about themselves, their previous professional career, their training at KÜHLA and their future plans. The video is now available on the new online platform karrierestart.tv of the Oldenburgischen Volkszeitung next to many other career videos from the region vechta. Click here for our video, have fun watching! Well that was really an icy pleasure. 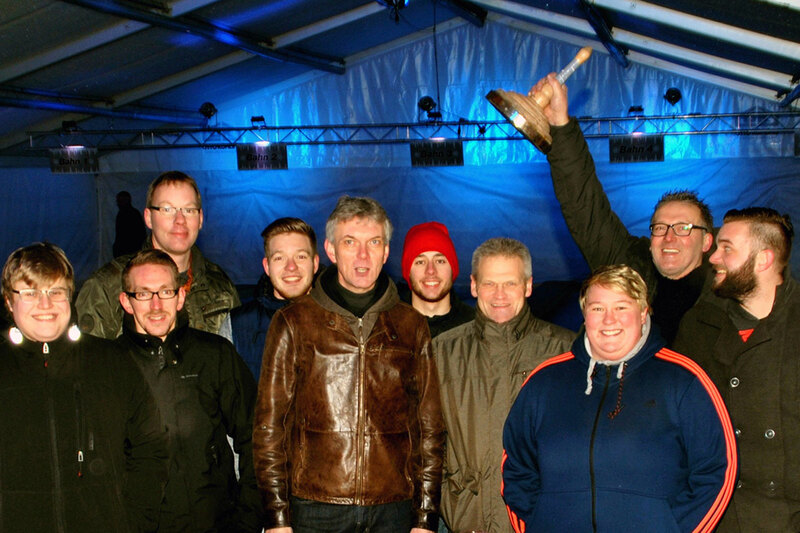 Last Saturday 51 teams fought for the honor and the best places at the CDU Ice-Stick City Challenge in the Ice Arena Vechta. With two third places in their respective groups, our teams did really very well at their first participation, not least thanks to a sophisticated strategy and an intensive training. On Wednesday before the big event the ice conditions were carefully monitored. Then tactics discussions in the teams followed until every single team position has been filled optimally with the perfect player. During the challenge on Saturday evening, our colleagues have really given their best and always kept cool. Unfortunately both didn’t make it into the final round – but it was really close. And as the saying goes: It's the taking part that counts. In this sense we all look forward to a continuation next year. Then the motto strikes again: Get the Puck. Advent, Advent – this is also the time for lavish special menus. Bird feeding houses in the garden or on the balcony are a perfect opportunity to offer a delicious festive snack to our feathered neighbours in sparse winter times. 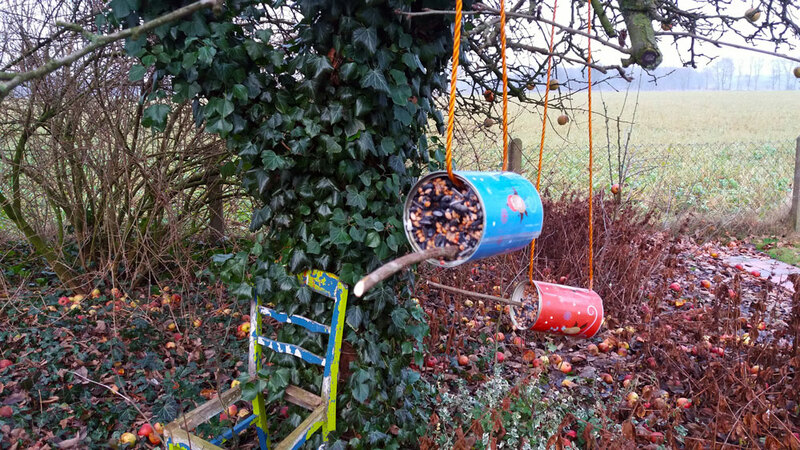 On the Internet, we found a lot of ideas how to make wonderful bird feeding houses, easily designed from everyday objects like milk cartons, plant pots or grannies tea service – there is no limit to the imagination. We have chosen the can variant. And that is really quickly made. Take an empty can – we have chosen a 400 ml variant – and clean it well. Remove the cover on one side and insert a hole on the other side on the outer edge for a cord, a gift ribbon etc. for hanging. 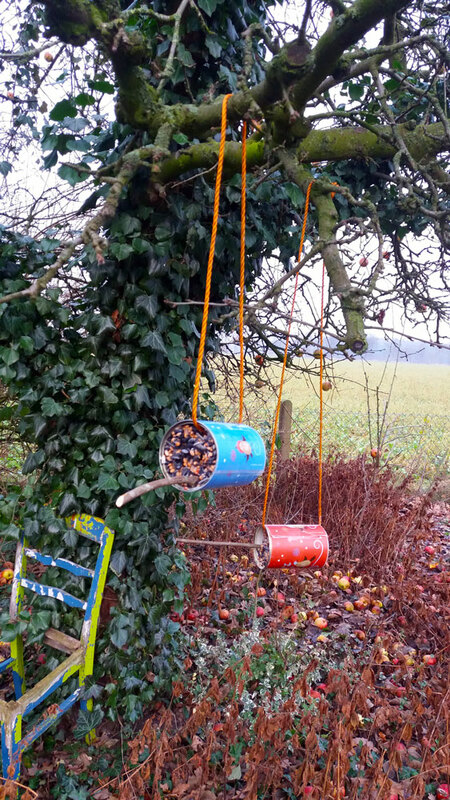 You can also decorate your bird feeding station, if you like +++ blue Label for download or +++ red Label for download (426 x 106 mm; suitable for a 400 ml can). 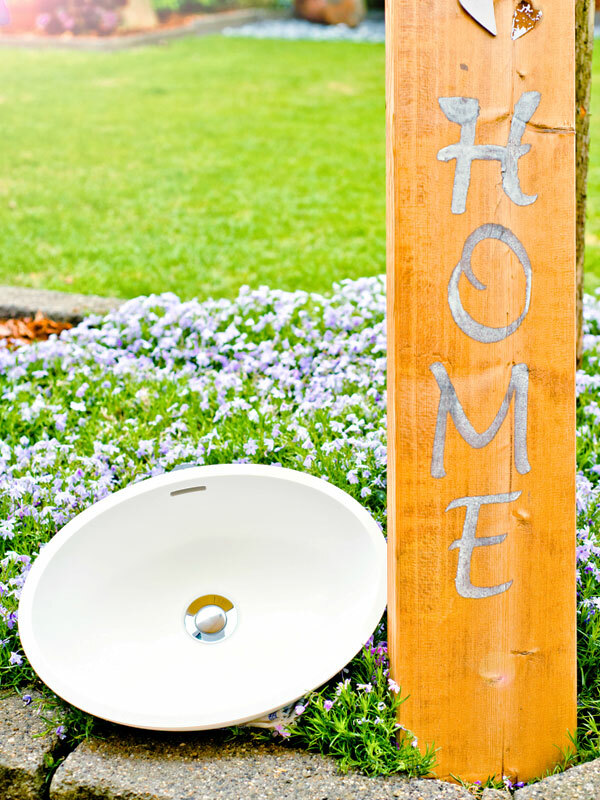 To make the paper weather-resistant, please glue it with a laminator or manually with a foil before applying it. Then simply wrap around the can and fastened the ends with tape. 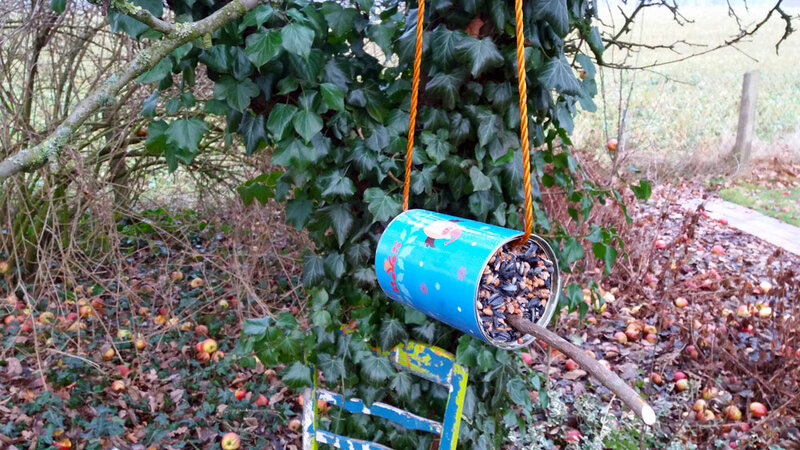 Fill the feed station with the bird food in warm condition. Place a small branch of wood in the warm food mass and leave about 10 cm of the strap, on which the birds can sit. Let everything cool down and hung up the bird feeding house. Please look for a suitable place which is unreachable for cats and other rapacious pets. Good appetite. A really nice recipe for self-made bird food you’ll find on the website of the NABU www.nabu.de. Simply try. 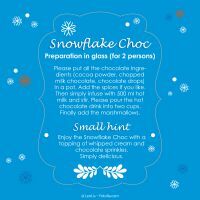 “Santa Claus is coming to town!” Now is the time for home-baked sweet cookies and for glimmering self-made Christmas decoration. 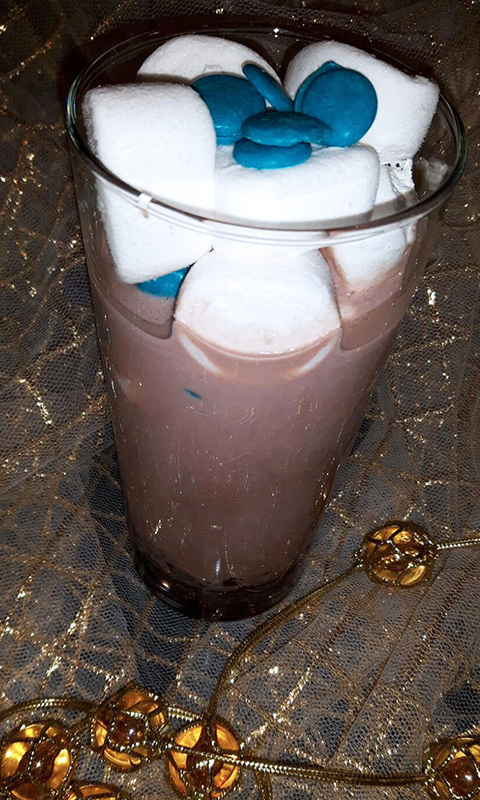 KÜHLA also starts well prepared in the season of advent with a lot of self-made Christmas food creations for you – all of course in blue. 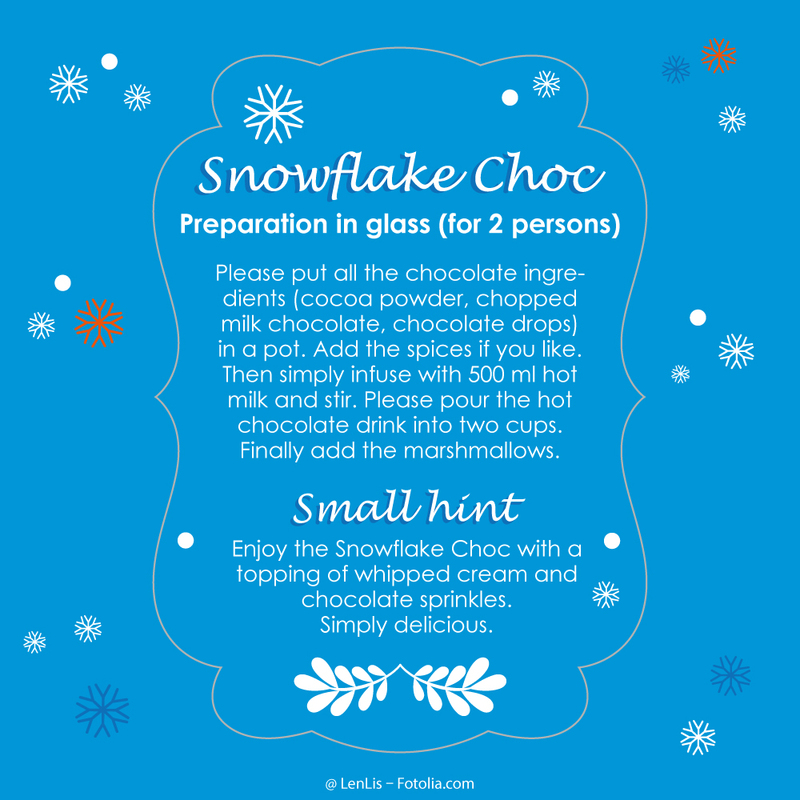 And you can be sure that all our Blue Christmas Specials have been extensively tested by us. 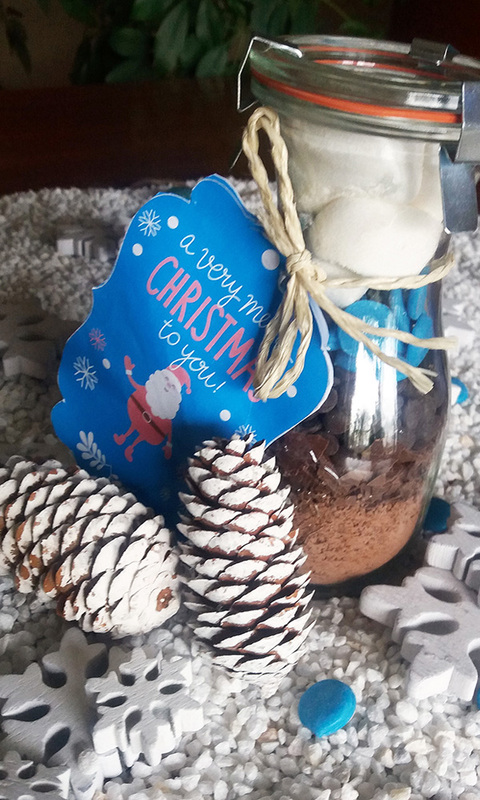 In the following weeks of December we will show you our best Christmas finds and ideas. 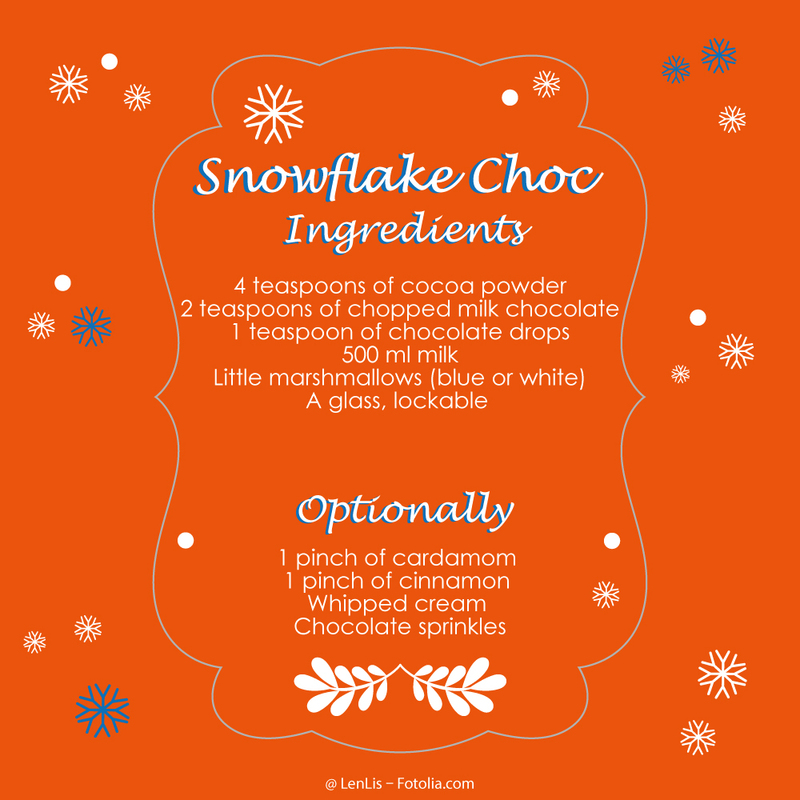 Today, please enjoy the Snowflake Choc (a special chocolate drink) – simply delicious. 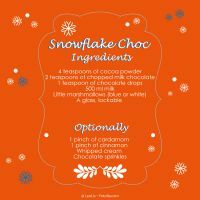 All ingredients (for two persons), all details for preparation and a little gift label for cutting you’ll find here for download +++ Label. We wish you a joy- and delightful Second Advent! Why do you need a slitting saw? 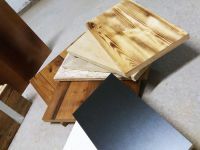 What is the importance of computer systems for cutting wood panels? 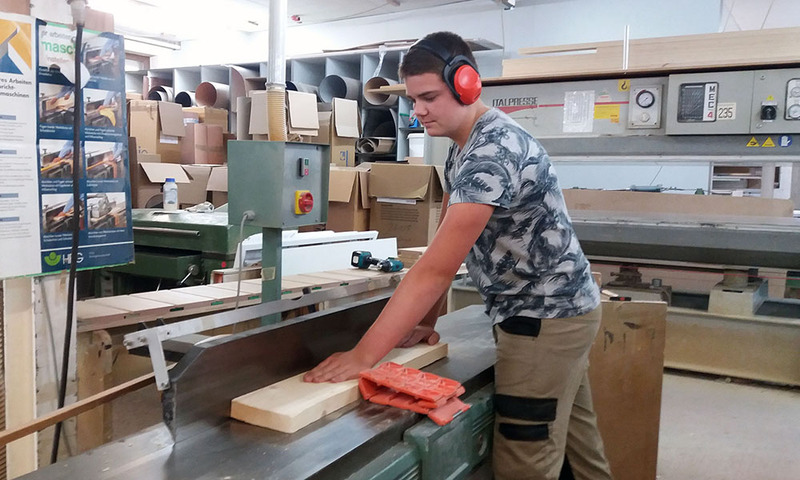 What makes work placements in schooldays so important for the future career and above all: What makes the apprenticeship as a carpenter so attractive for young people today? Once again at this year’s craftsmen’s day on 13 September the point of issue was the force of the handicraft business in the region of Vechta. 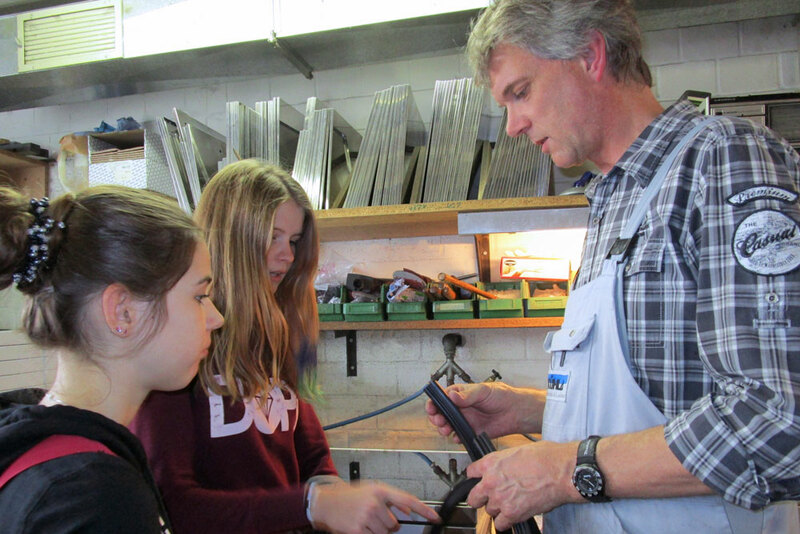 The students from 8th grade of the Geschwister-Scholl-Oberschule became the opportunity to meet the local players of the regional handicraft. The representatives of the companies gave a lot of information about their offered apprenticed professions to the young people from the primary and secondary school. 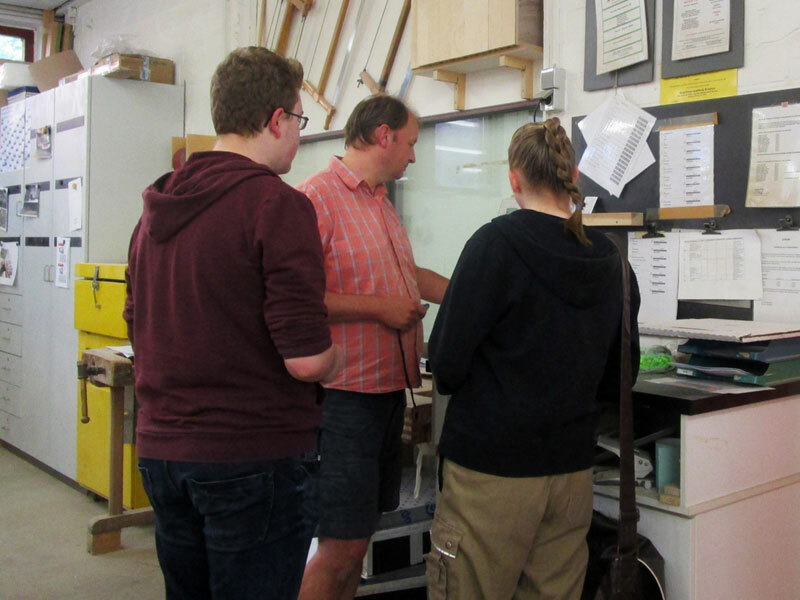 KÜHLA as a shopfitter gave the students an insight into the apprenticed profession as a carpenter. 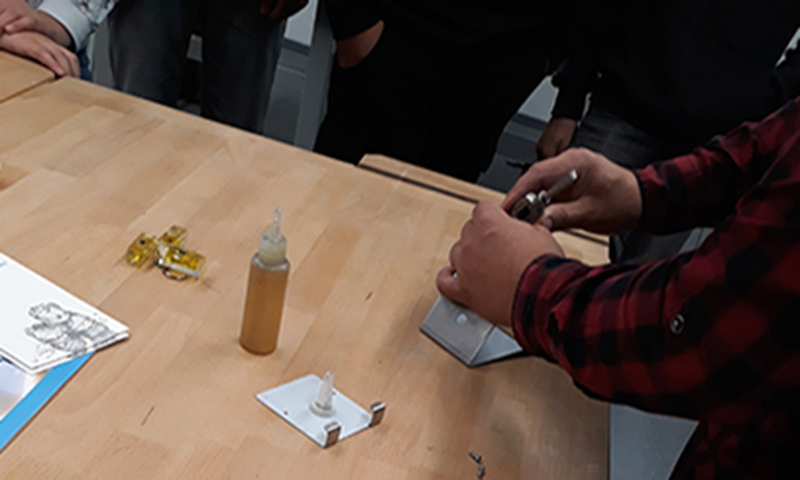 Our two new apprentices Lisa and Luca and our colleague Manuela from the carpenters’ workshop talked about their daily work, for example which materials and tools are regularly used. In addition to the information about the job of a carpenter the three gave useful tips for the career choice and showed a lot of illustrative materials from their workplace like wood samples, technical drawings and solid surface material, especially “turned up”(formed in a three-dimensional shape) for this occasion. The craftsmen’s day is a good chance for young students to get an impression about the possibilities for a qualified apprenticed profession in the handicraft sector in the region of Vechta. For several years, the craftsmen's day acts as cooperation between companies and schools in the region with the aim to show young people occupational perspectives for a career in the handicraft and the local job market. 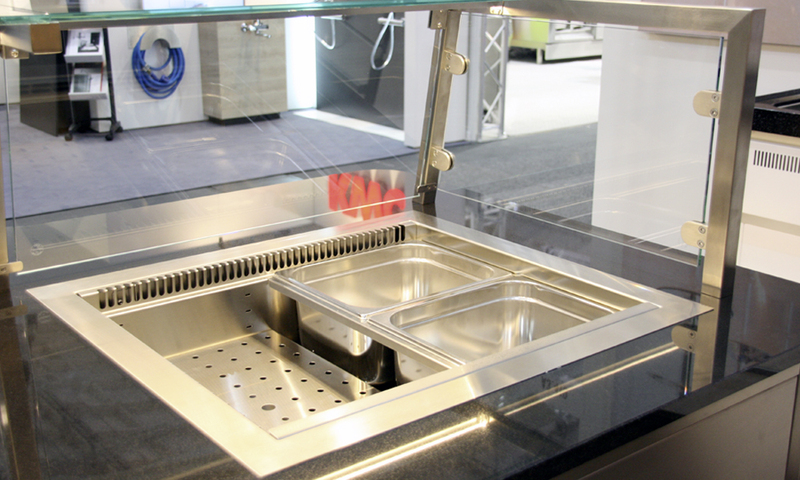 Sinks and hand washbasins are indispensable on every catering counter. 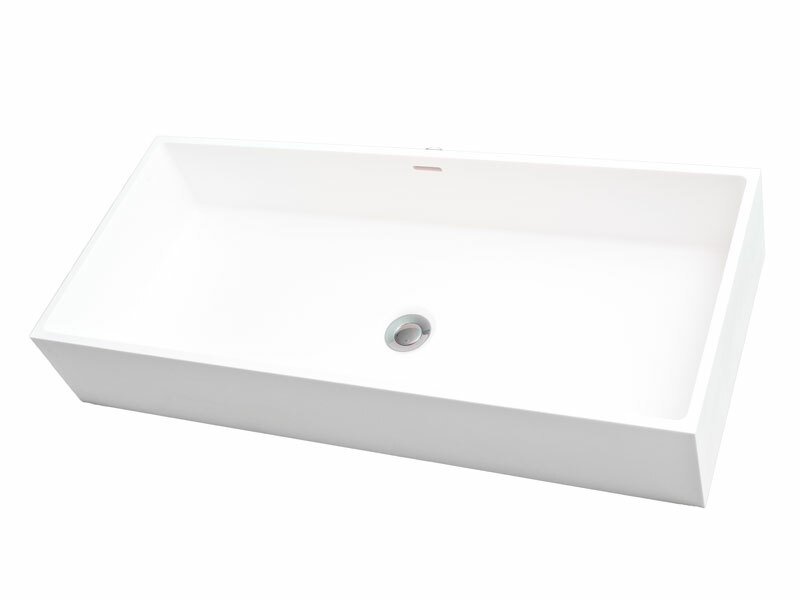 Practical, beautiful and versatile are the sinks and basins made of solid surface material that are manufactured by KÜHLA in Vechta in lower Saxony. 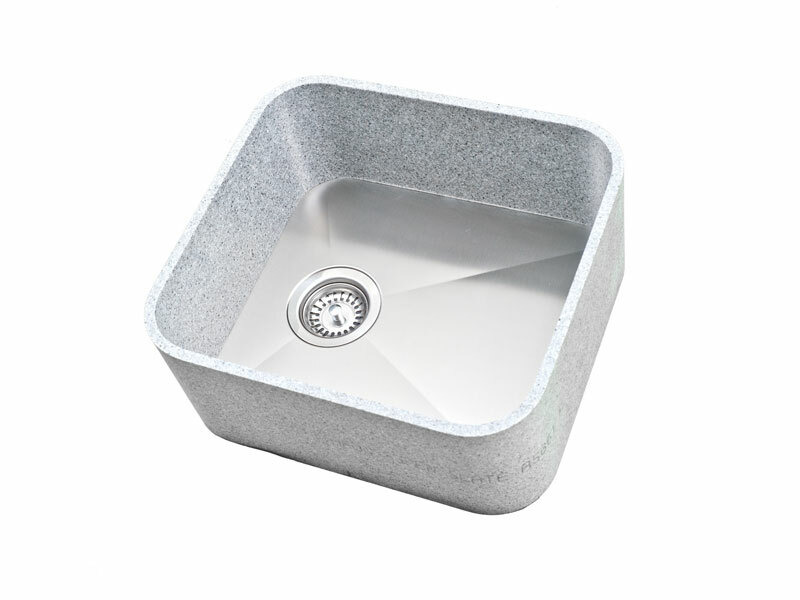 Whether the design should look modern, rustic, fancy or noble – the basins made of an acrylic composite fit perfectly in any food shop concept. 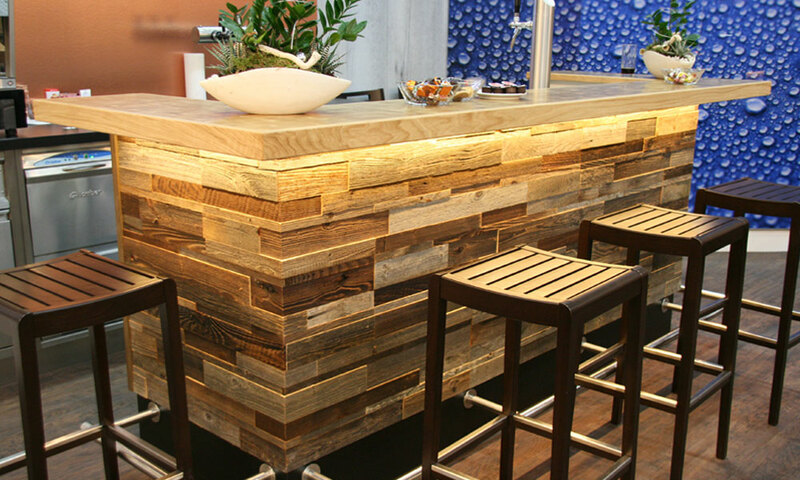 The uniform flow of color and texture allow designs with particularly high-quality appearance. 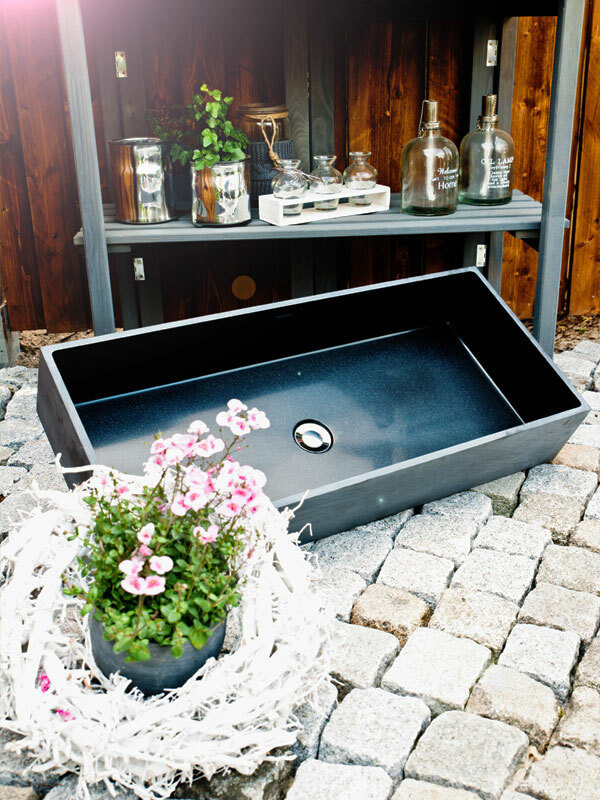 The KÜHLA sinks are available in many sizes, shapes and colors. 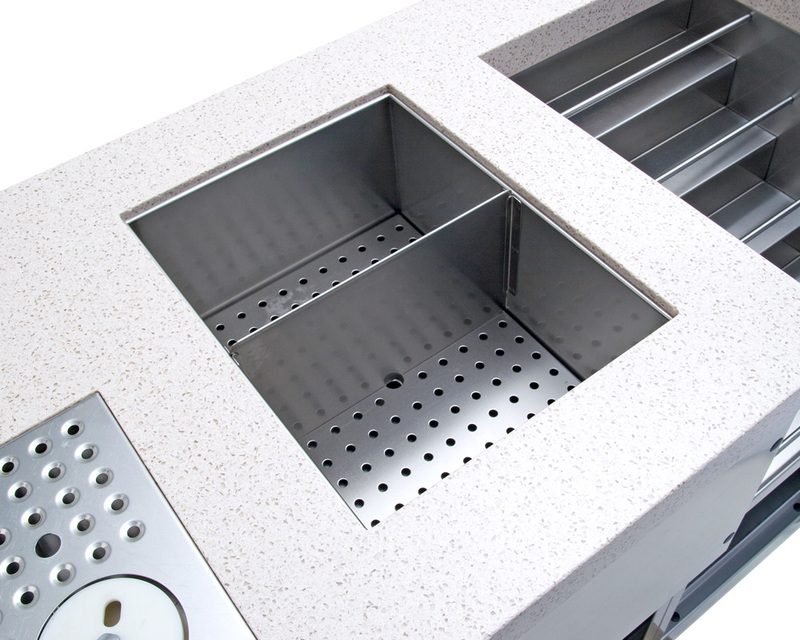 They are also available with stainless steel floor if desired. Individually custom sizes are also possible. 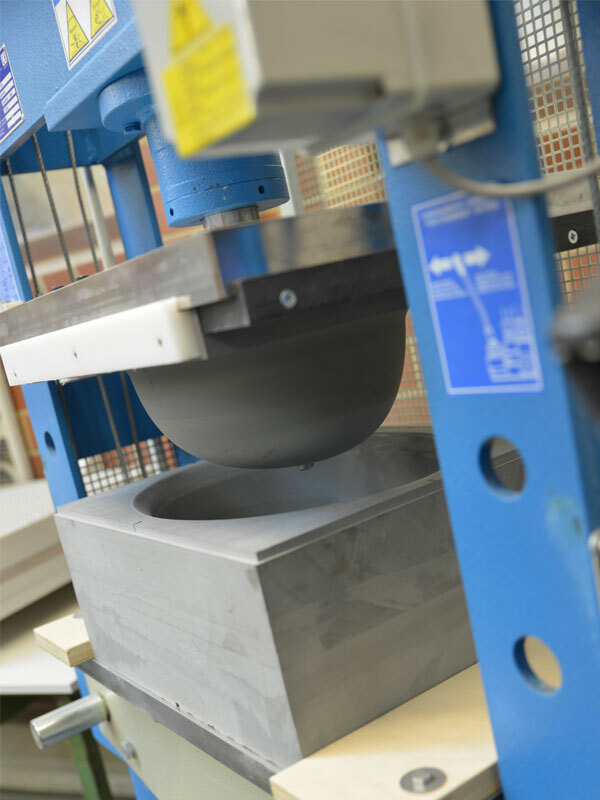 In addition to the processing of wood, stainless steel and the cooling technology the KÜHLA Kühltechnik & Ladenbau GmbH is specialized in the processing of solid surface materials for many fields of application. They use the exclusive material for the processing of counter covers, decorative objects, back cabinets and complete furniture or objects for the sanitary field. 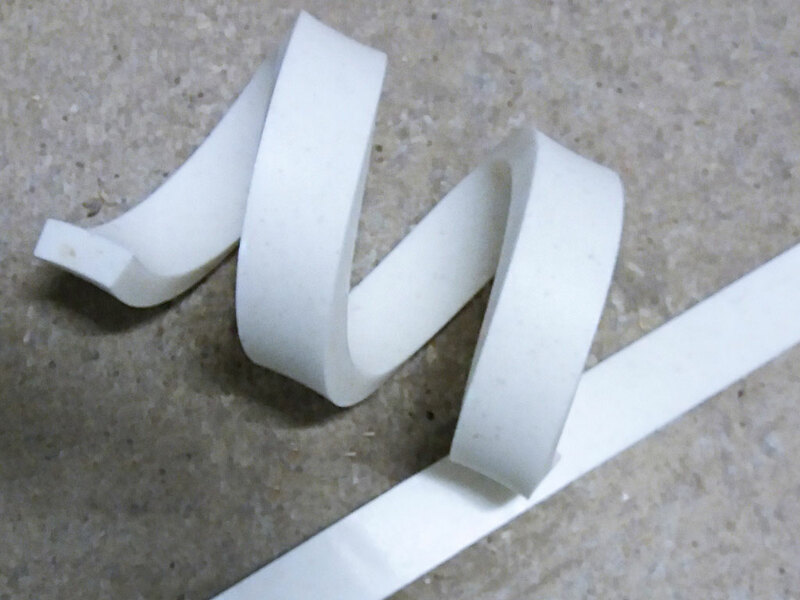 Well, finally it should be pointed out that solid surface materials make a good impression … simply everywhere. 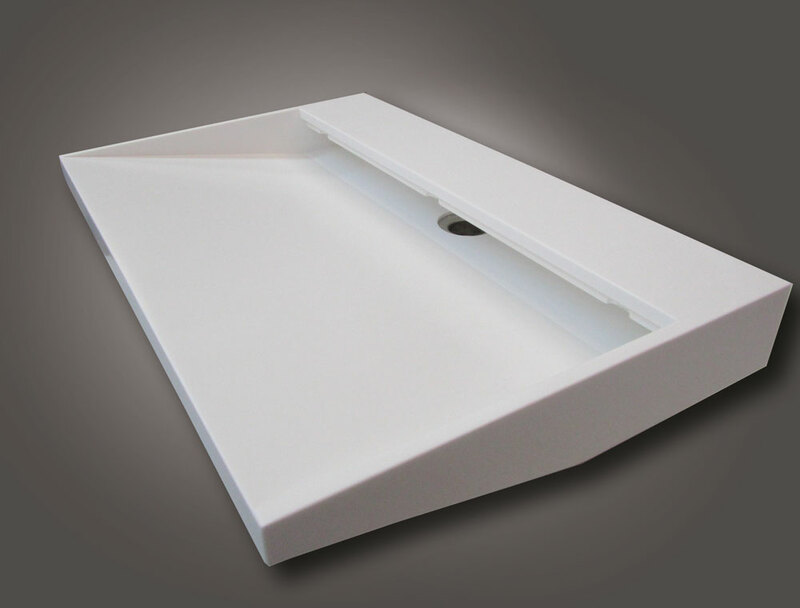 Soon we will publish further and more detailed information about our sinks and hand washbasins made of solid surface materials. From now on it is said for Lisa und Luca from Monday to Friday: The early bird catches the worm. 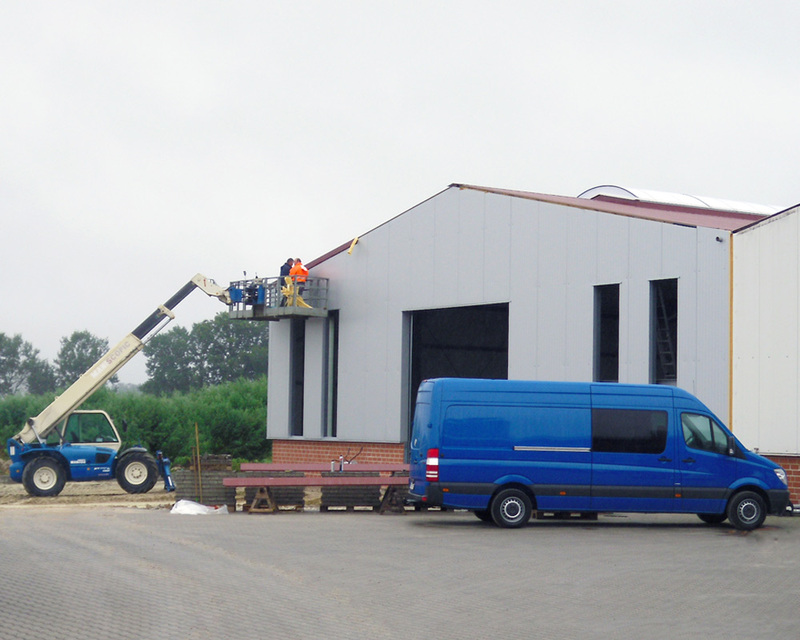 On the first august both started their training course for carpenter here at KÜHLA early in the morning at 07.00 am. 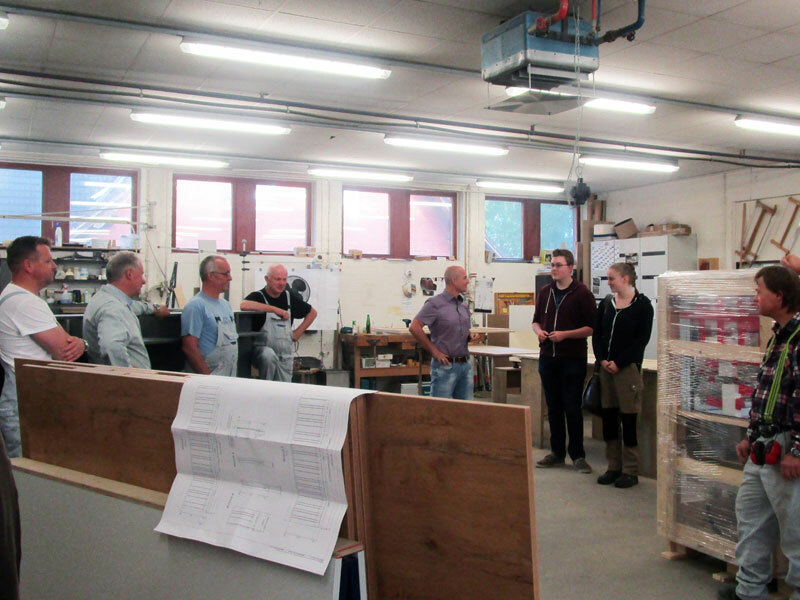 After the brief welcome by our Managing Director and the first meeting with the new colleagues in the wood workshop, our two new trainees stared motivated and interested in their new job – under the qualified guidance of our master craftsman. In the next two years Lisa and Luca will have plenty of work to understand the versatile craft of the carpenter from scratch. We warmly welcome Lisa and Luca and wish both all the best for the following month. 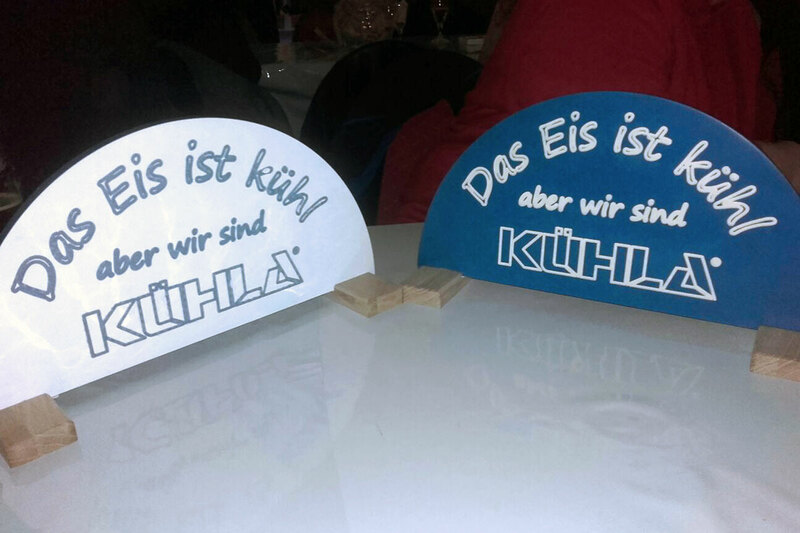 We hope you will have a great time at KÜHLA, even perhaps over the training course time. Woman wins the KÜHLA-football betting game for the European football championship …again! The football betting has a long tradition at KÜHLA. It is also a tradition that the female colleagues take the top places regularly. This year our colleague Yvonne ranked first. The second and third places were occupied by Thomas and Jörg. Congratulations to all the winners and have fun while go shopping with the prize money. Our chief has ambitious plans: he will pass about 300 kilometers with around 1500 meters in height by bike through the charming Swedish landscape. Together with a colleague of our Swedish business partner Sveba and 20.000 other bike fans from all over the world, Thomas and his brother Jörg take part in the Vätternrundan, the biggest and most famous Swedish cycle race for ambitious hobby racing drivers around the lake Vättern. Cycling in every spare moment, was the training motto during the last weeks and months for a good physical condition, when the race for the Brämhults Cykloider (the cycling group of Thomas and Jörg) starts in Motola in the night between the 17th and the 18th June at 4:30 AM. We cheer our team from Germany, but the really most important thing is not to win but to take part – as is generally known – and not to forget to enjoy the beautiful view over the lake from time to time. We have to admit, until our moves look as elegant as in a Bruce Lee movie it will takes some time, but during the self-defence training of the Barmer GEK with the Judo Tigers of Visbek in the city-gym we really did our best. The Judo Tigers gave us a practical training in recognizing, avoiding and reacting appropriately to dangerous situations. There was a great deal to see and practical to test, for example handles, kicks and punches, or how to turn a hand bag including content (for example a mobile phone or a powder box) into an effective self-defence weapon. Who would have thought that a box of hankies gives real benefits in a dangerous situation? We also got important information from the legal side, for example which form and intensity of violence is appropriate in the case of aggressions and physical attacks or why it is absolutely no not a good idea to scratch out the eyes of a simple thief. We thank the BARMER and especially all the big and the little judo tigresses and -tigers for the great support, for many useful tips and for their infinite patience during the training sequences. We learned a lot and know now: We can do-it-yourself– if the diamond geezer is missing once again. A few colleagues really have a long duty stroke. There is a distance of about 9,000 kilometers footpath between the work place of our trainee Berihu Weldegebriel Berhane and his native country Eritrea. In 2014 Berihu has dared the escape from Eritrea to Germany – away from the political turmoil in his country. 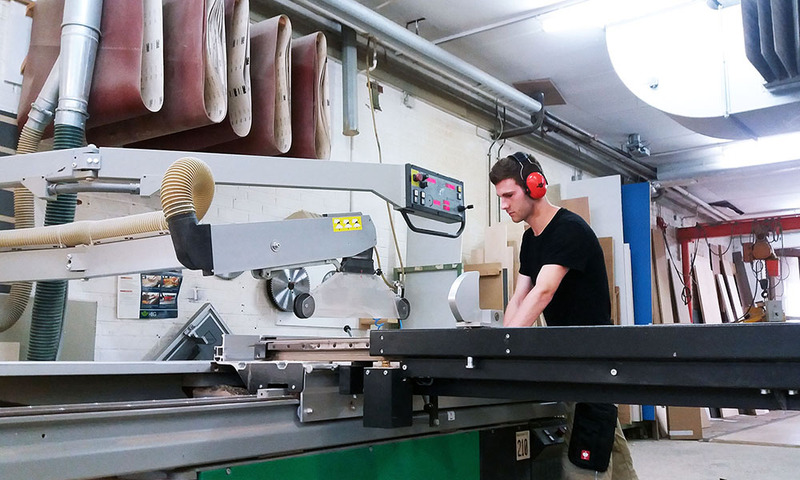 In Germany, the now 20-years-old Berihu wants to establish a new and secure life: Preferably as a carpenter like his father. 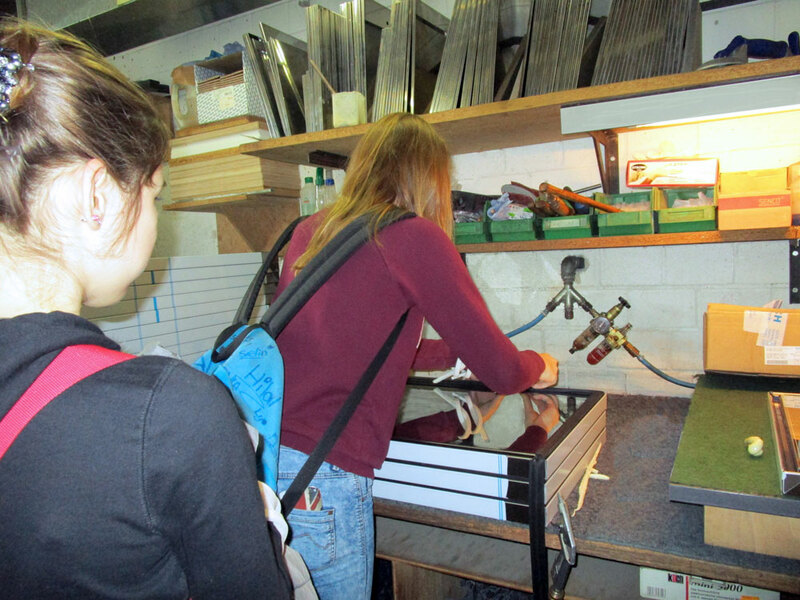 Since January this year he gathers many experiences in our workshop. In March 2016 begins his 3 week long assessment time at the Kreishandwerkerschaft (Craftsmen Association) in Vechta. 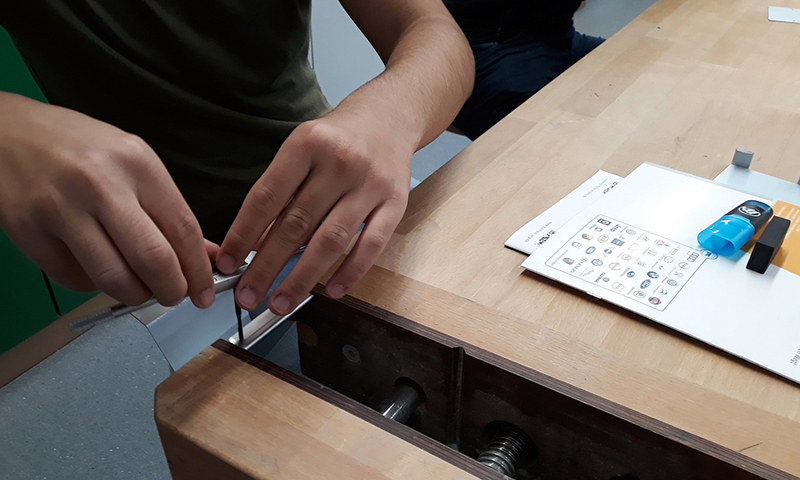 With the project “Craft training for refugees and asylum seekers” the Kreishandwerkerschaft tries to bring together potential employees and trainees for the crafts sector. 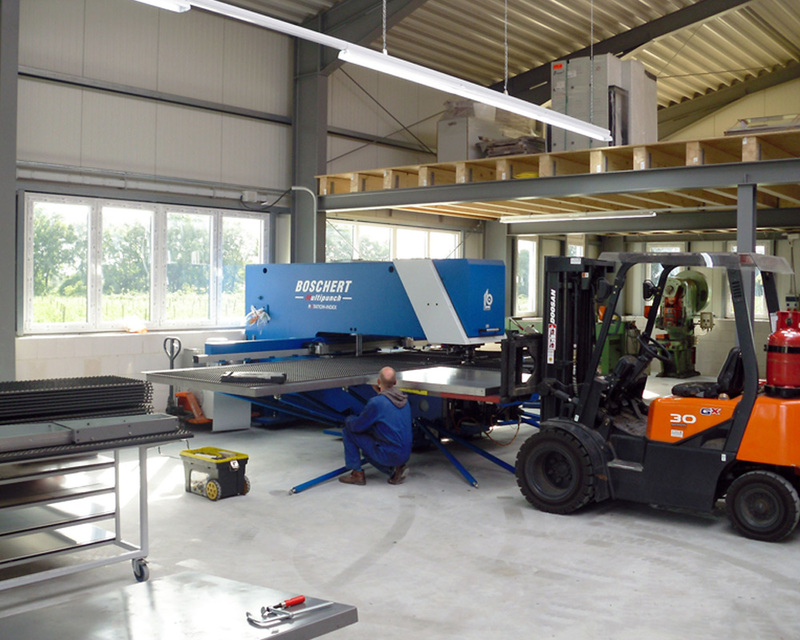 We would like to thank Berihu for his committed service in our workshop and we all wish him success for the next weeks. And who knows, maybe we can welcome him as our new carpenter trainee in a few weeks. 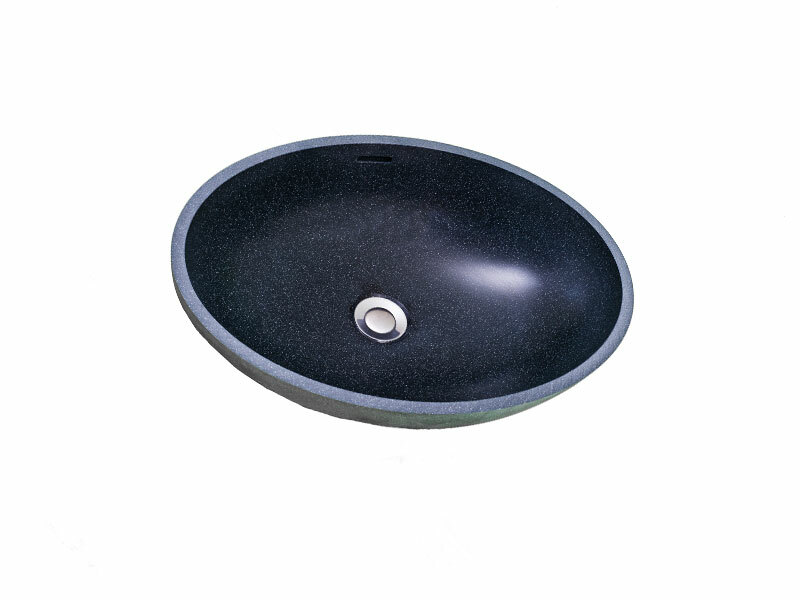 Here is a nice new idea for spas, sanitary facilities in gastronomy and hotels or mobile caravan baths: Sinks made of solid surface materials. They are easy to clean and very robust. 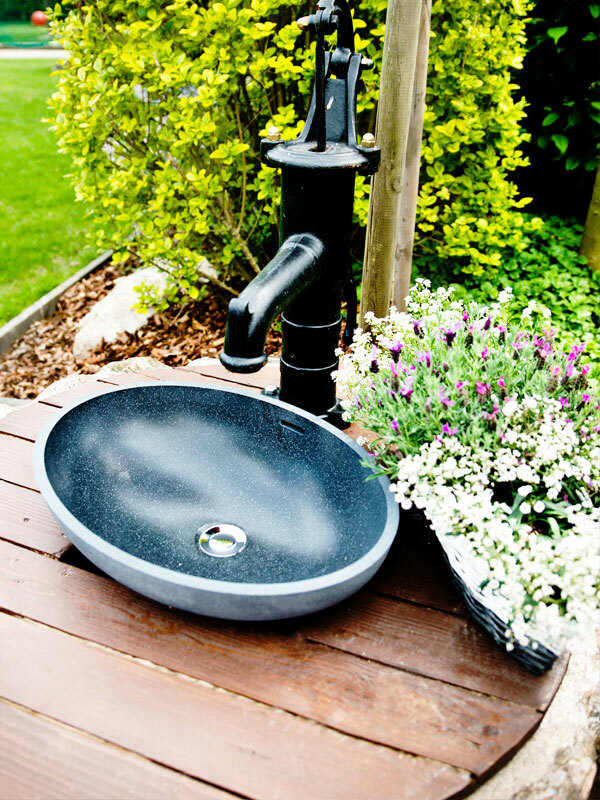 And the best: They also have a beautiful look, especially when there is no drain that disturbs the overall impression. Best solution: Shut the flap – with a coverpanel and a special closure technology for good usability. Nice idea! Nice look! Nice handling! 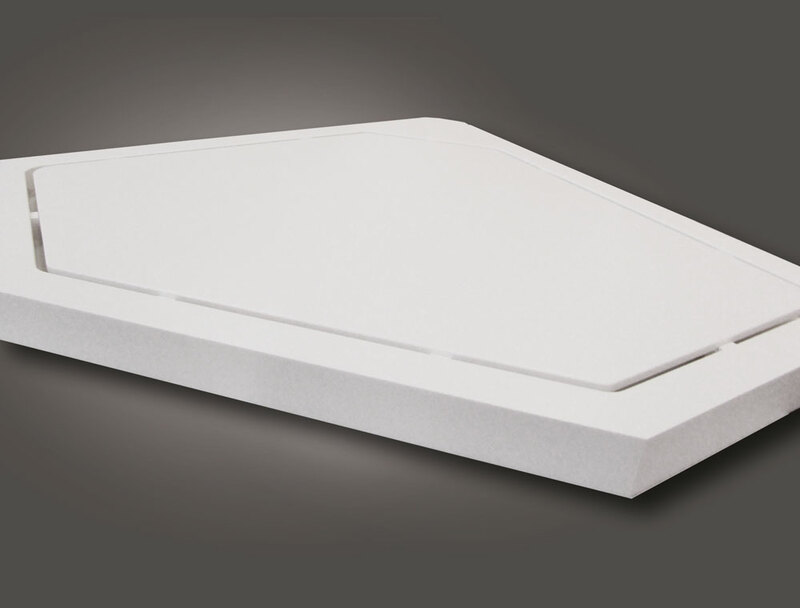 The special panel is also a smart solution for high-quality shower trays made of solid surface materials. 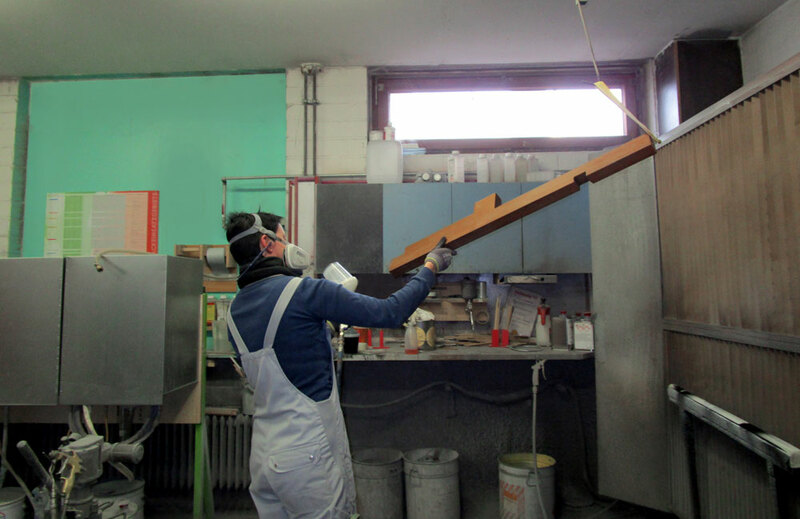 For many years KÜHLA is a certified member of the DuPontTM Corian® Quality Network and specialized in the processing of solid surface materials along with the shop fitting, the cooling technology and the processing of special stainless steel designs. In January we had something to celebrate. 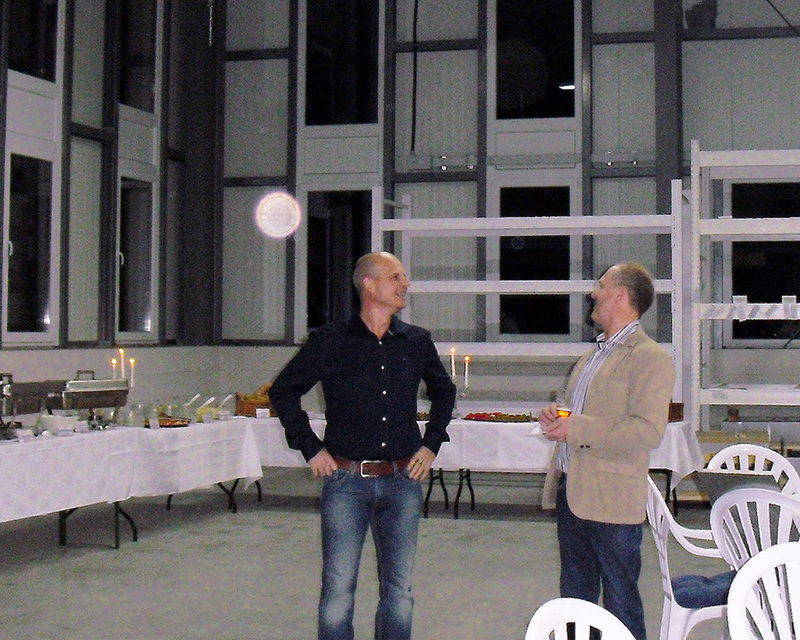 Our colleague Jörg had completed successfully his six-month probationary period. Now he is an inherent and indispensable part of our team. 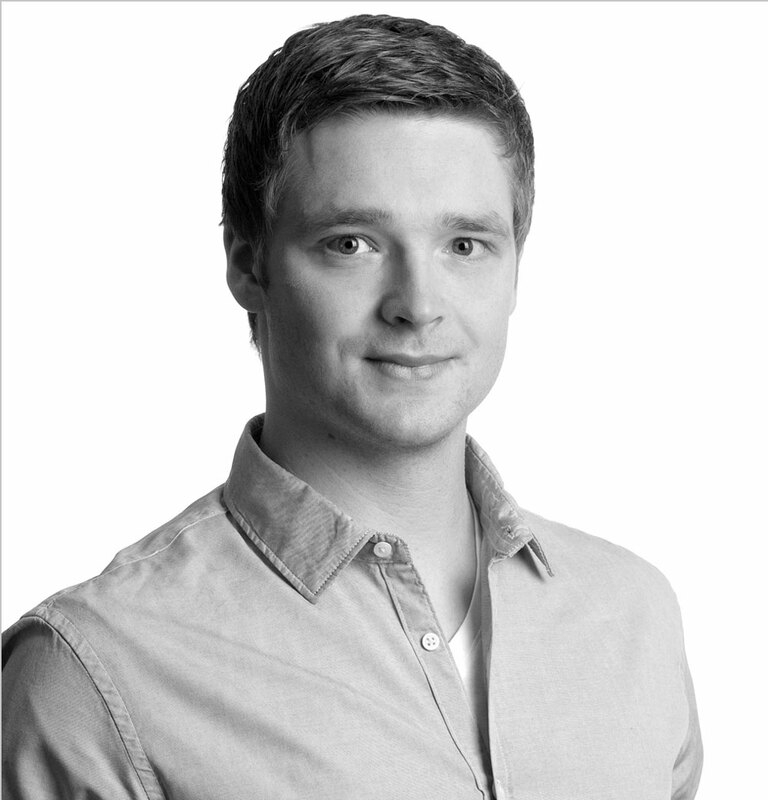 In future Jörg will work as a project planner and wood technician in our department for special constructions and object planning. We say Congratulations and look forward to continuing our collaboration. 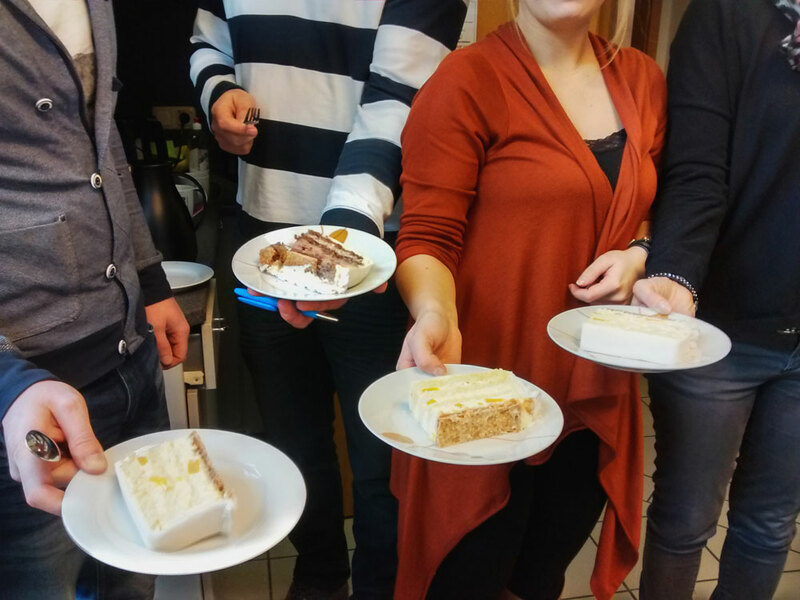 For his debut, Jörg invited us to enjoy sandwiches and a real cake-bomb. Thank you very much, Jörg! It was absolutely tasty. The new media – they have increasingly influenced our daily life over the past years. Today Facebook, XING, Instagram and co. have become an indispensable part of our everyday life. And so we also don´t want to be missed there. Therefore with the beginning of 2016 KÜHLA is active on Facebook. Visit us! Like us! Meet us on the Social Network. 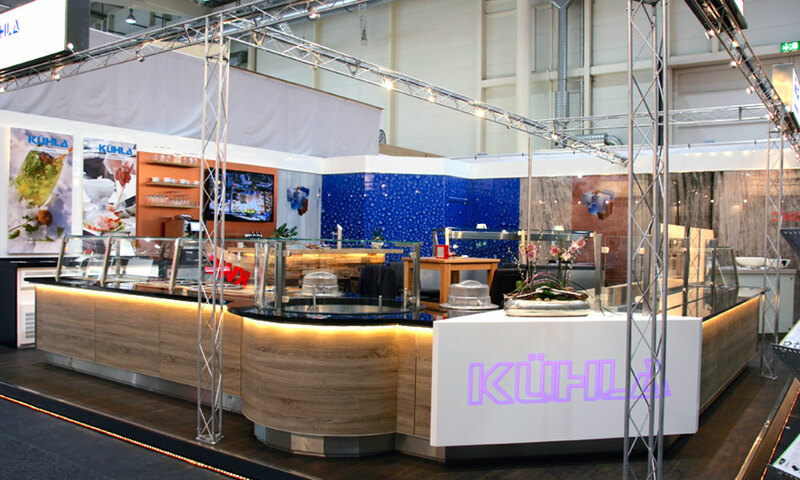 We are looking forward to your visit, your KÜHLA Team. 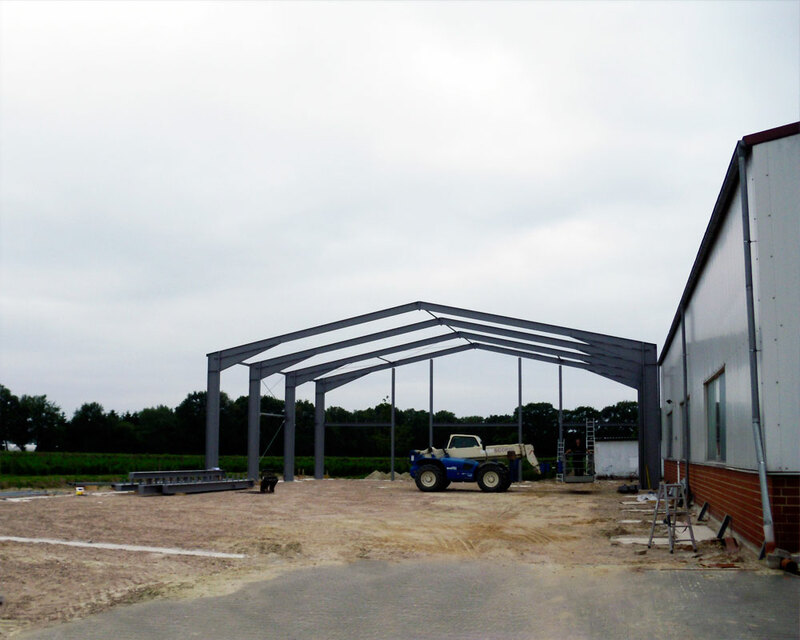 CRAFTSMEN'S DAY 2015: Training as a carpenter – (no) wrong track?! "The whole day just sitting in the office, I cannot imagine!" 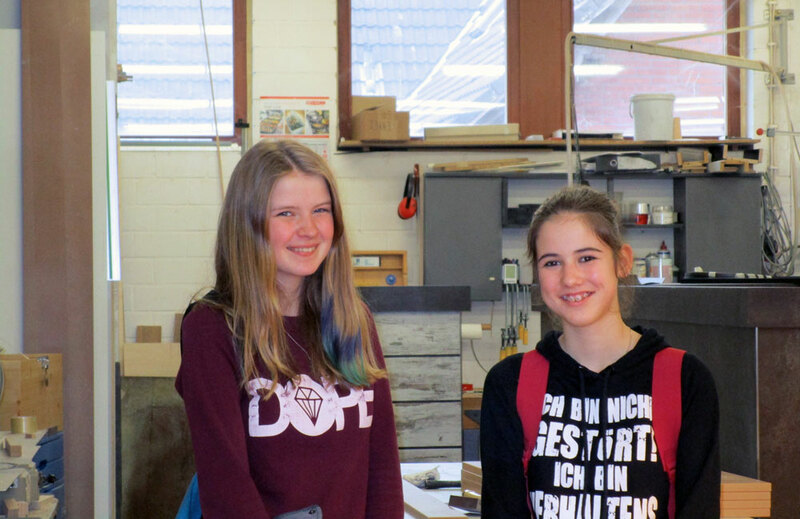 Sophie attends the 8th class of the secondary modern school in Vechta and she has already concrete ideas what she wants to do in her future career – and what not. That makes sense, because success in business especially depends on the right career choice. What about a handicraft trade, for example? 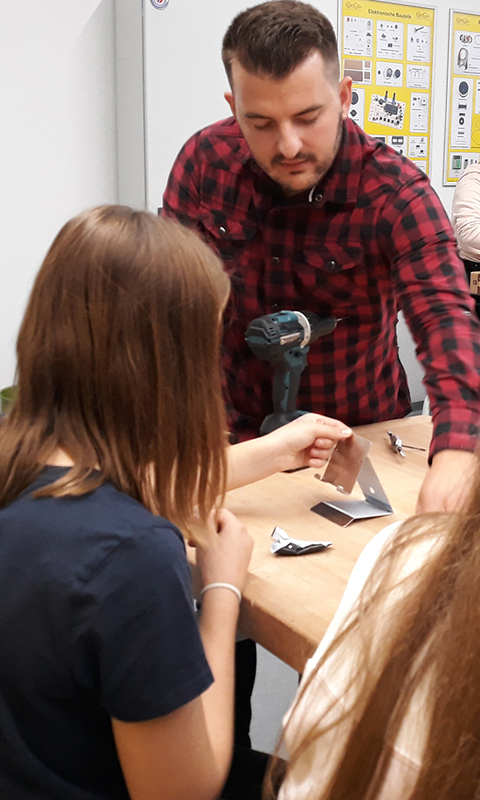 More about the interesting career chances in the local craft trade sector the students were informed during the annual craftsmen’s day in their school. 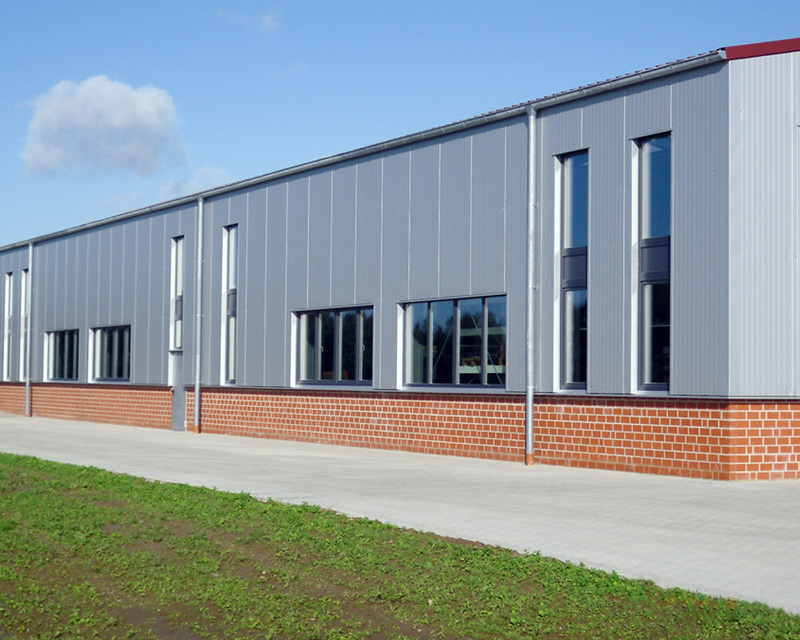 For several years there is this special cooperation between the secondary-modern-school and the local craft trade companies. The companies present their job perspectives directly in the classroom. So the young people can get a first impression of training opportunities in their region. However, for the companies the craftsmen's day is a good opportunity to discover new talents for their own business. 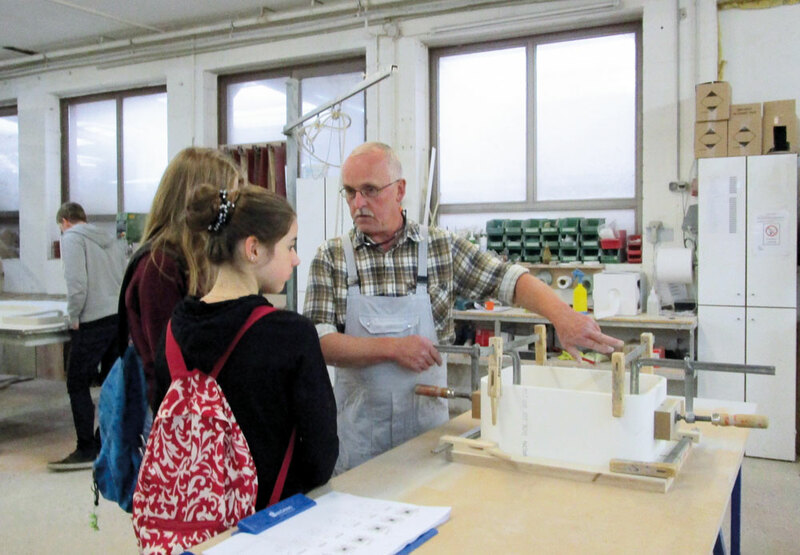 With the craftsmen’s-day-event also an invitation to all students for a factory tour was linked – a perfect opportunity for Sophie and Lena from the 8th class of the secondary-modern-School to get a good impression of the daily work in the own dream job – for example as a carpenter. 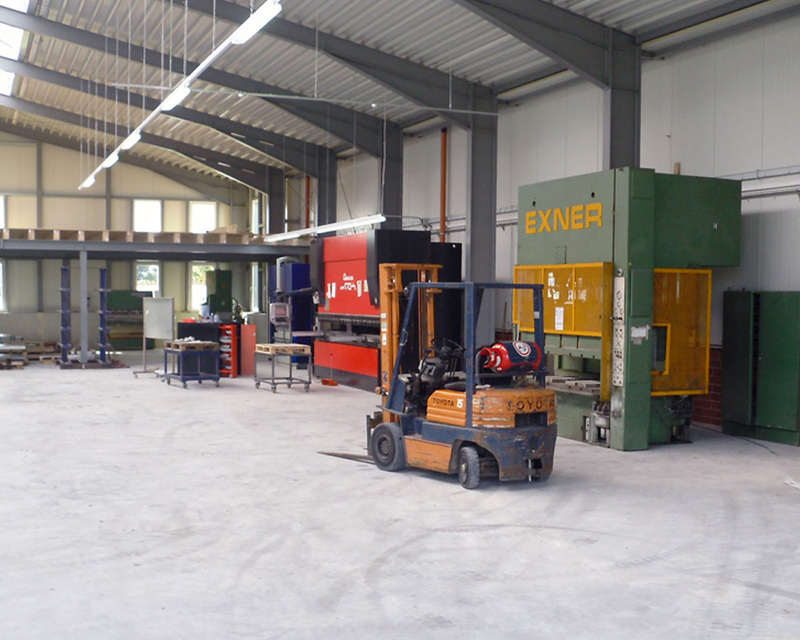 Here at KÜHLA they could have a look in all our workshops – the carpentry, where our counters and objects are built – the paint room, the engine room and also our departments for the processing of stainless steel solutions and solid surface materials. After two hours, Lena und Sophie could take a lot of impressions in their well-deserved finishing time. We thank both for their keen interest. And who knows? Maybe we'll meet again – for example if the topic of career choice is pending. Our conclusion: At least, the training as a carpenter is anything but a wrong track. Well-deserved but really a pity! We all knew the time would come and now unfortunately the day is there: our long-time colleague and project planner Wilfried Janzen is retiring. But we would not let him go without a small farewell party – an ideal opportunity for sharing memories. After many years as a freelancer Wilfried Janzen worked for eight years as a project manager at KÜHLA and supported numerous clients – on site to the distant beaches of Gran Canaria. But at the age of 66 he is looking for new challenges: for example spend time with the grandchildren, make family vacations & bicycle tours. And also a lot of garden projects are waiting for Wilfried. Well, boredom seems not to be feared. But for Wilfrieds colleagues and clients his retiring is bittersweet: He always had an open ear for all, he had a profound understanding of his job and he was a person who was able to make difficult decisions – outstanding properties, which managing director Thomas Brackland clearly pointed out in his farewell speech. Wilfried Janzen, we will miss you. Please enjoy your retirement! See you – for sure! What an exciting week in Hamburg! The 89. 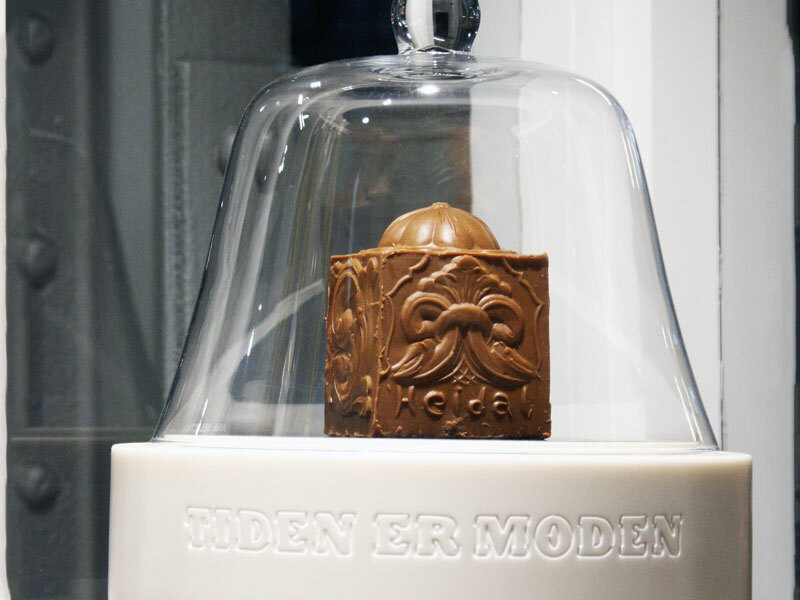 INTERNORGA was a week full of great contacts, conversations, innovations and of course full of culinary delights. We returned at home with a lot of new impressions and projects and we would like to thank all the visitors who visit us at our fair trade stand. Our thanks also go to all our partners and clients from the skandinavien and other European countries for having a long journey to Hamburg for having an impression of our pprduct news we shown at the Internorga. We are looking forward to our future cooperation and to meet you again at the Internorga next year. Admittedly, a few of the results of the actual FIFA World Cup 2014 in Brasilia surprised even the most savvy football experts. For example the early exit of the Spanish Team or the seven goals of the German Team against the Brazilian hosts. And who had predicted these results? It was just the female participants of the KÜHLA football pool who got the winning points. Maybe it was intuition, maybe it was a specialized knowledge but it is the fact that the women left their male colleagues far behind them. During the World Cup preliminary round it becomes already clear that Marie Holl will take a confidential first place of the KÜHLA betting challenge. 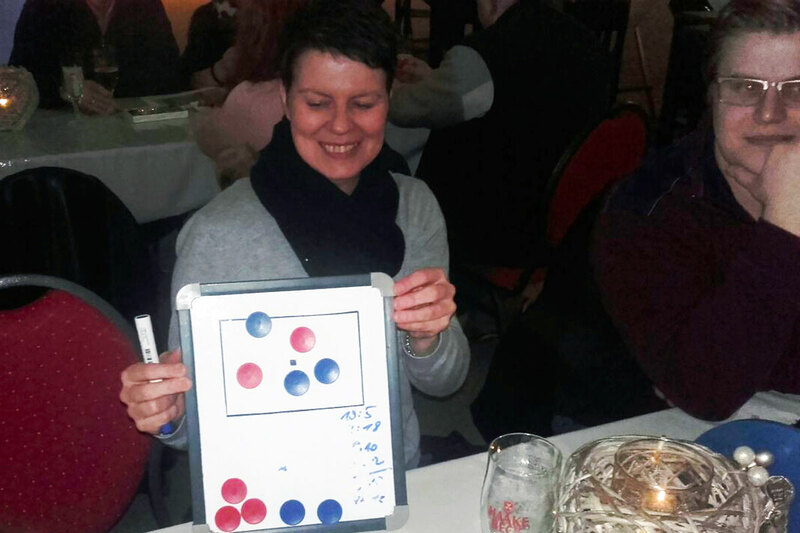 The second place goes to Petra Hake, the football pool winner of the European Football Championship in 2012. Heike Kossen fights a close head-to-head race with KÜHLA owner Franz-Josef Niehaus for the third place – finally with five points ahead. Today the three successful ladies were celebrated during a little award ceremony. This is already the second year in succession that a woman has received the KÜHLA football pool award. What's left to say? Marie, Petra and Heike, we wish you all the best und many Congratulations. But sirs, keep your head up high. In two years you are going to have a new chance for the KÜHLA football pool cup on the occasion of the European Football Championship 2016 in France but if you really have a realistic chance against this strong girl power? 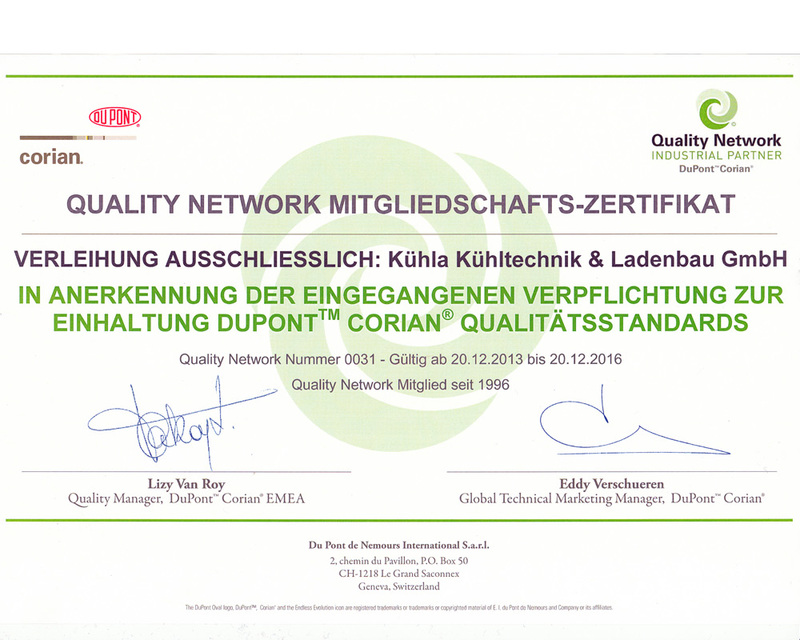 It was really good news for KÜHLA just before Christmas: The American Corian® producer DuPontTM reaffirms the membership of the KÜHLA Kühltechnik & Ladenbau GmbH in the exclusive DuPontTM Corian® Quality Network, a prestigious recognition in the solid surface-processing industry and in the believe of industry experts. 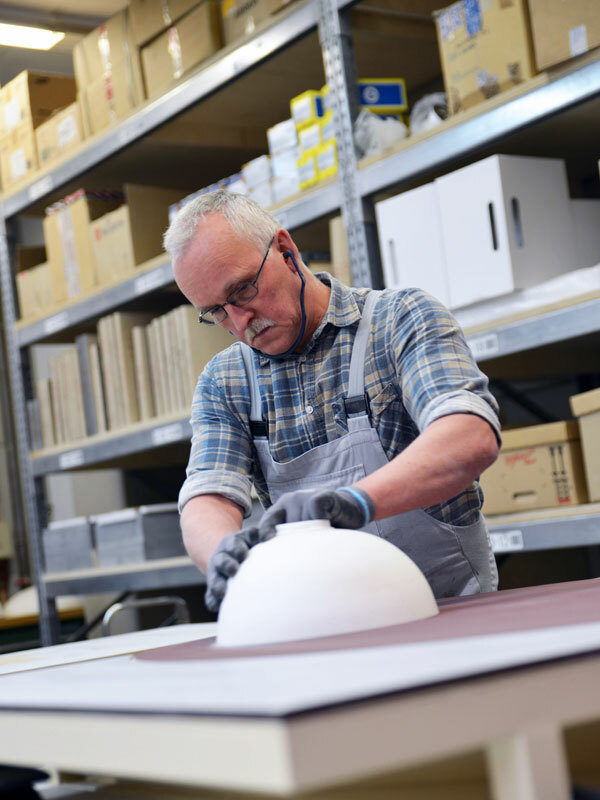 The Corian® Quality Network is a dedicated group of qualified industry partners that DuPontTM regard as excellent in the processing of solid surface materials. 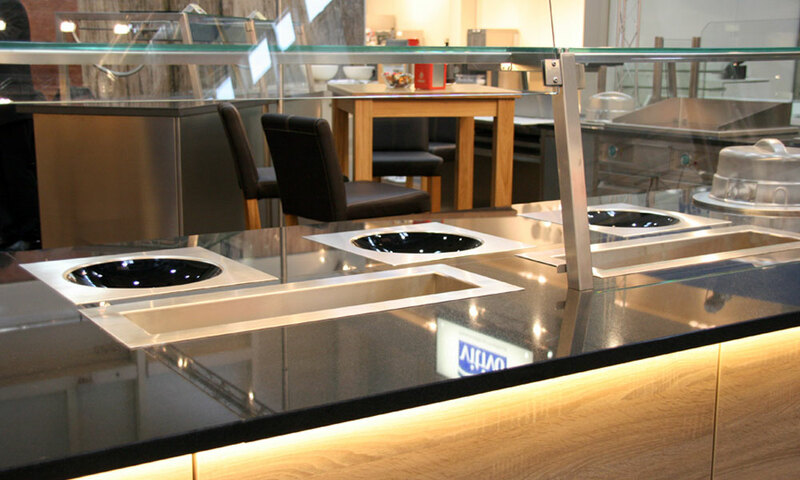 With the long-time membership and the further extension DuPontTM honours the experience und competence of KÜHLA in the creative and technical handling of Corian® in the shop fitting sector and also in the producing of gastronomy worktops, counters und cooling items. “Our membership is an important recognition for our sustainable and quality-conscious work!”, says chief operating officer Thomas Brackland. And further: “It offers us the possibility to exchange knowledge with the other members and with the Corian® experts of DuPontTM!”. 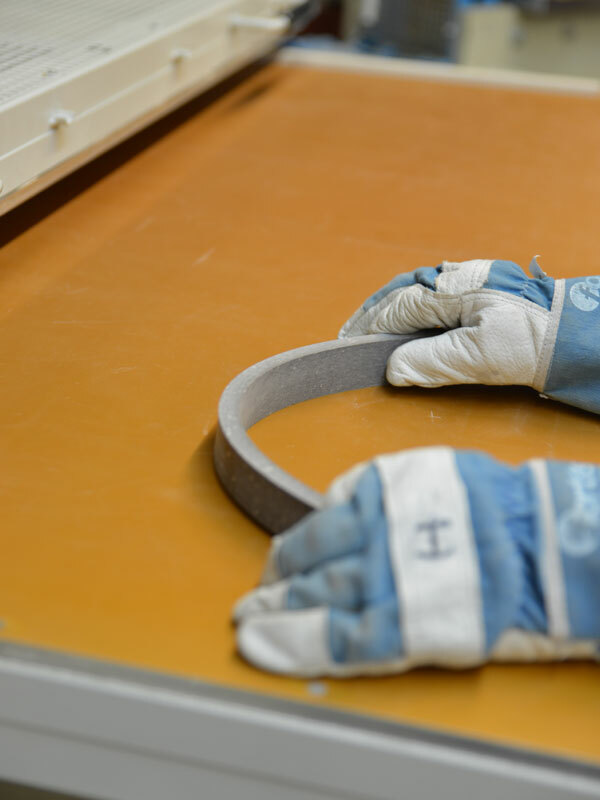 The membership of KÜHLA includes the commitment to fulfil the high quality standards of DuPontTM in the processing of Corian®. Especially customers and partners benefit from this high standard. The current membership of KÜHLA runs until 2016. Then DuPontTM will decide about a further extension. 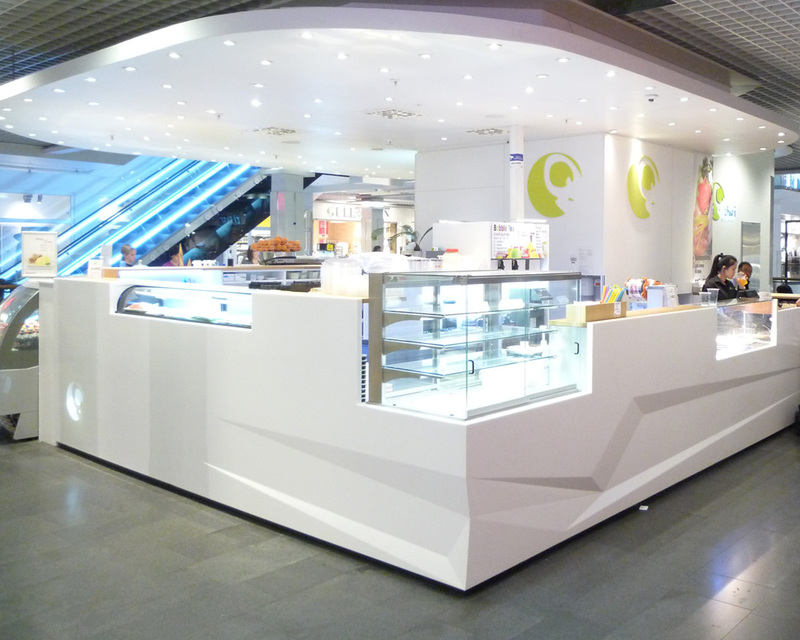 More information about the Corian® Quality Network and about the versatile and long-lasting material Corian® please find under www.dupont.de. 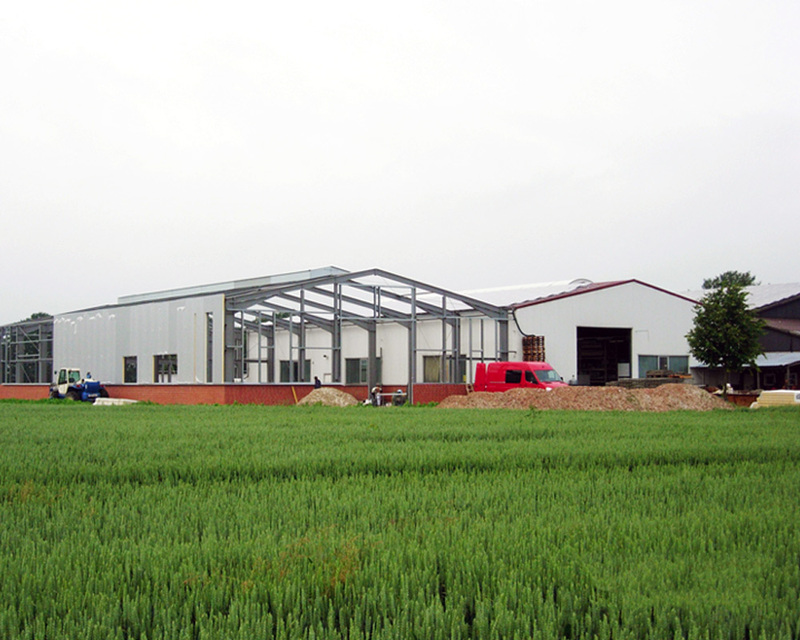 (New factory workshop – Part 3) It is done! It is done! 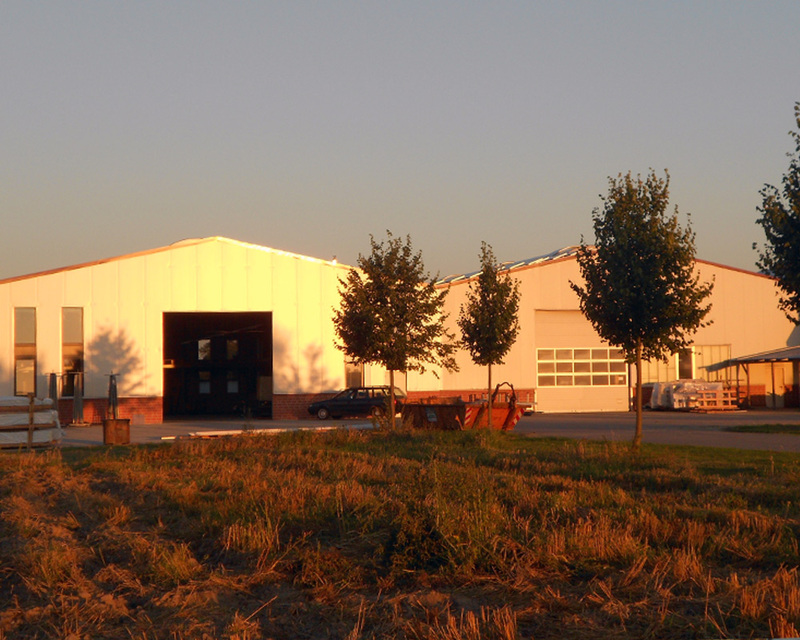 After almost six months building time we have opened our new factory workshop on October the 25th 2013 in a ceremonial atmosphere together with around 150 invited guests. 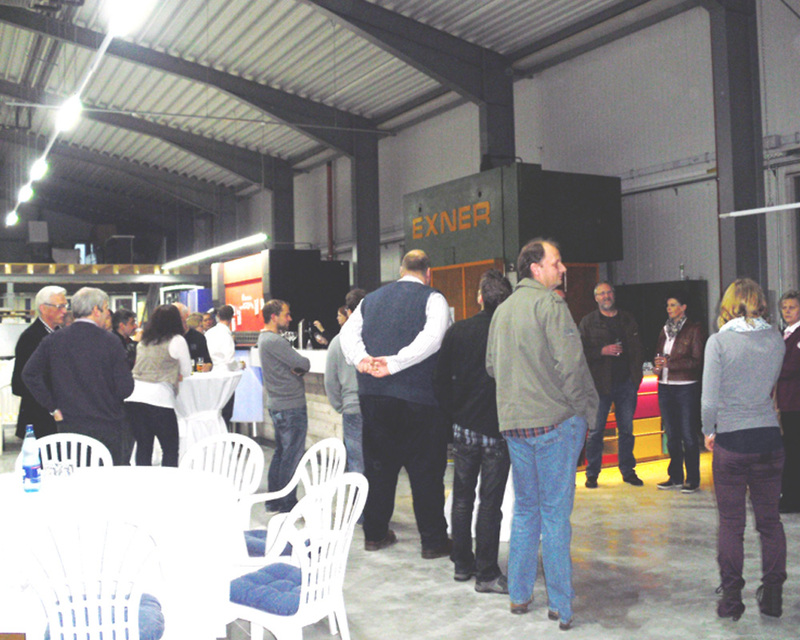 All visitors met in the newly created and warmly heated hall for our metalworking department – to have a look into our new premises, to enjoy a delicious catering from Lübbe, Langförden, and to listen to the speech of our company’s owner Franz-Josef Niehaus. He gave an interesting and partly anecdotal insight of the KÜHLA history and also thanked all who participated in the realisation of the new hall with a lot of enthusiasm and energy. 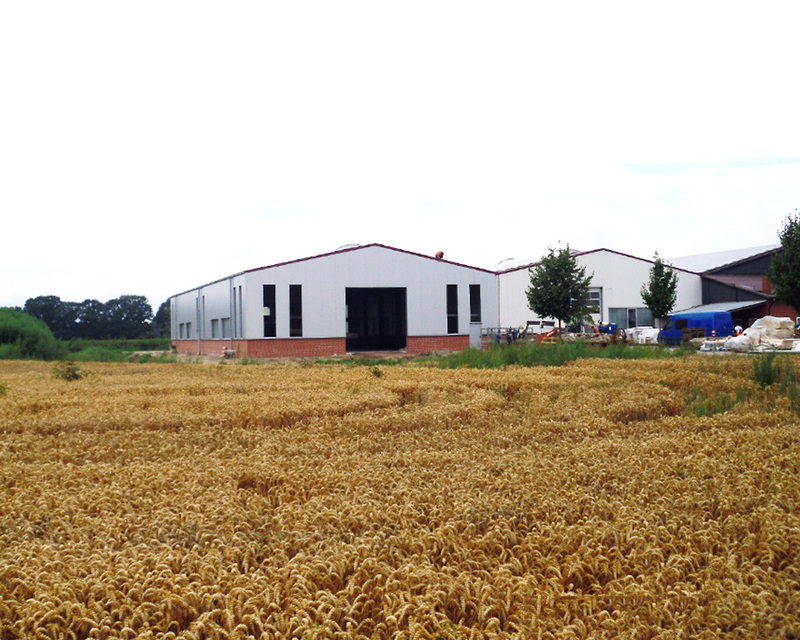 Also KÜHLA says THANK YOU to all our partners and customers for their understanding during the construction phase. 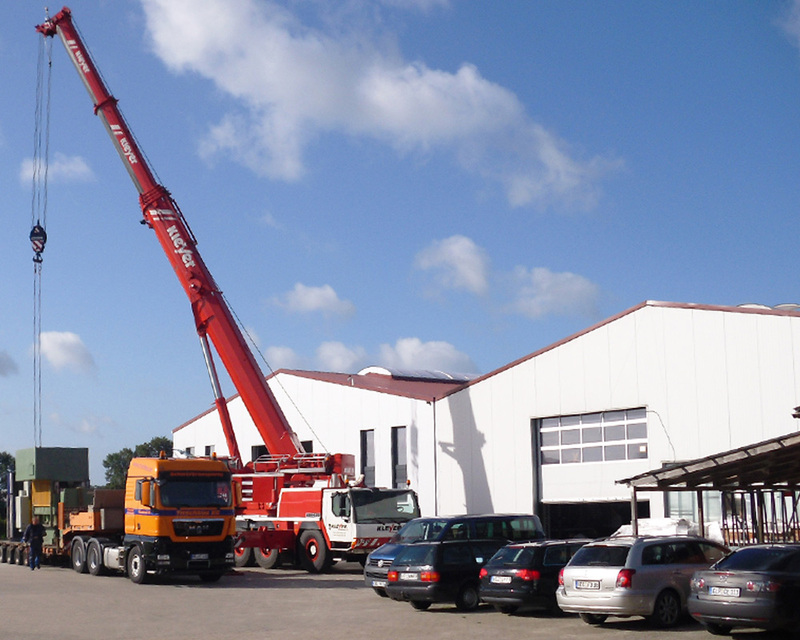 We are looking forward to carry on our good cooperation, as from now with the new capacities of our new machine hall. 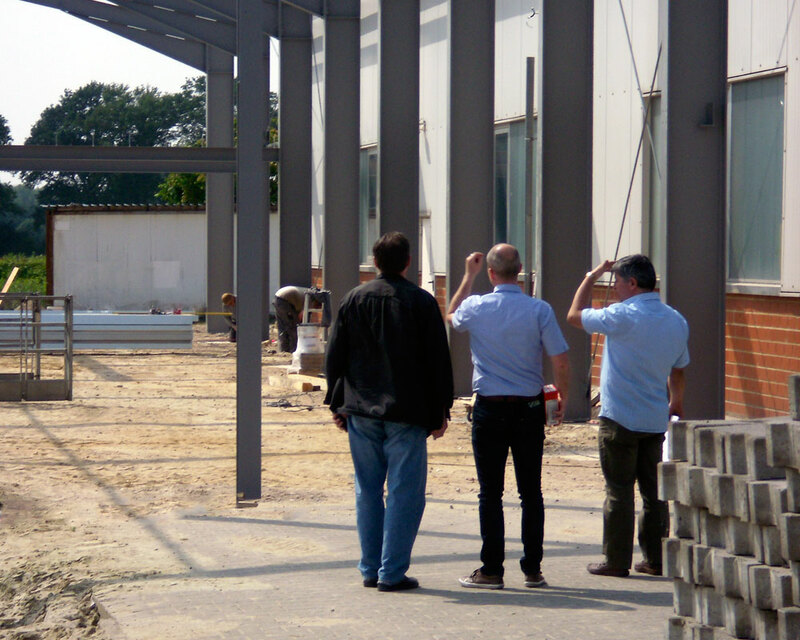 Here you find some impressions from the construction period. 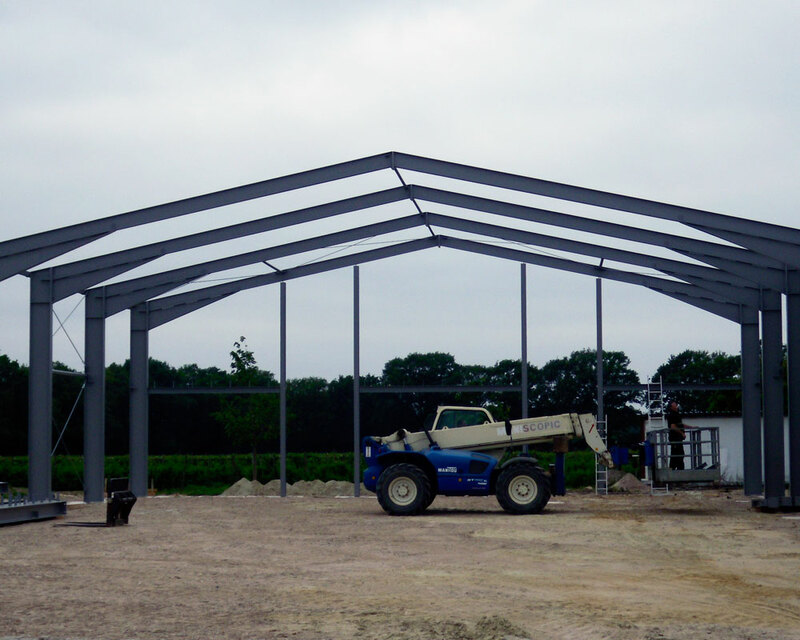 Things are progressing – with great strides and heavy equipment. 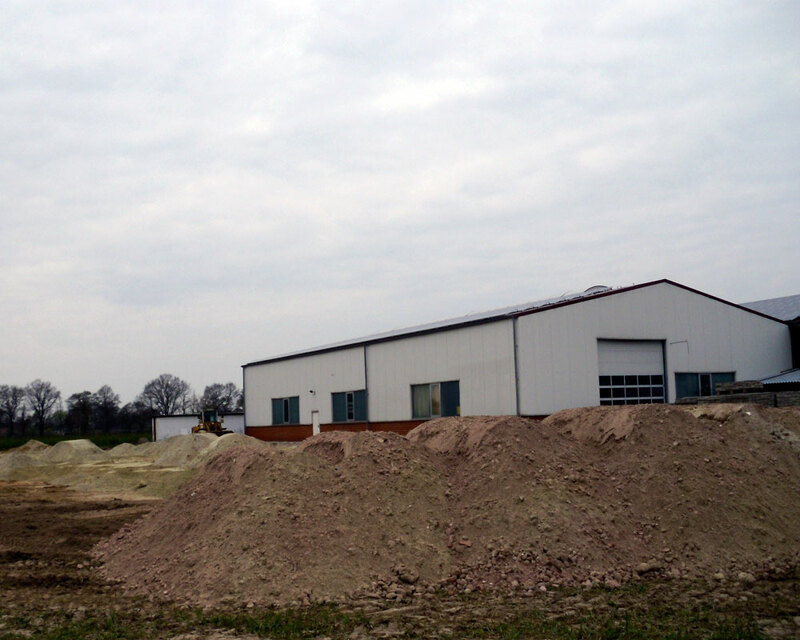 In less than four weeks, the pillars of our new factory workshop have been aligned on the construction site on the KÜHLA premises. The completion is proceeding, in a next step the base fundament will be built and then the side panels for the wall will be next. 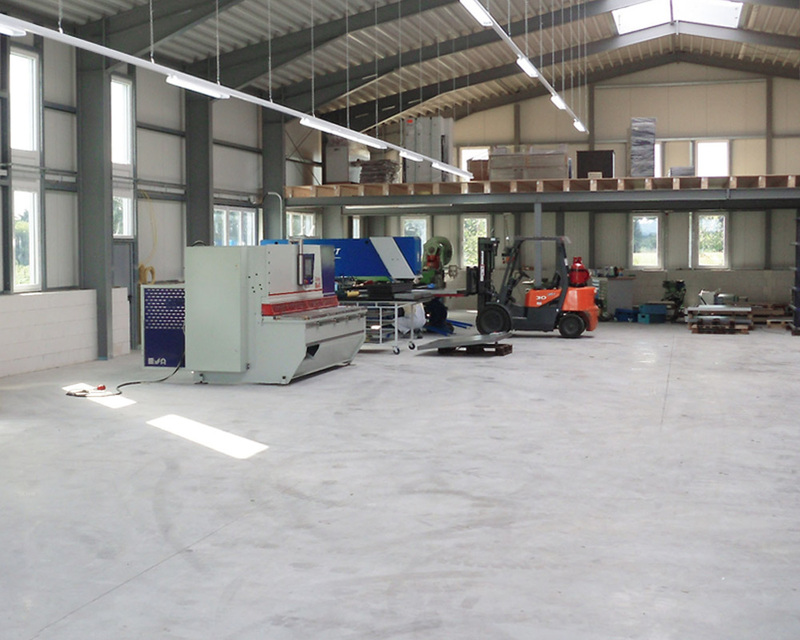 After finishing the team of the department for the processing of stainless steel will take up residence the additional 900 square meters in the new hall. The removal will take place this autumn. 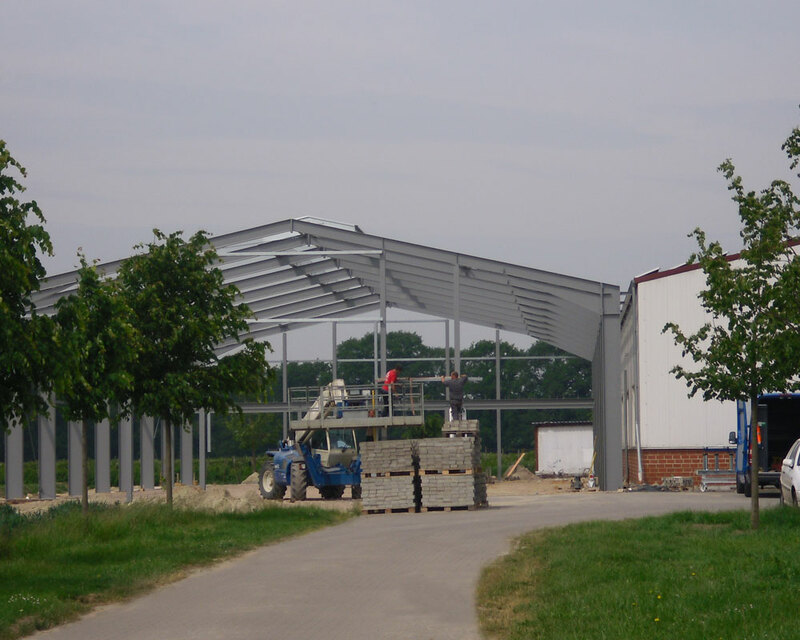 In April 2013 the construction work for a new factory workshop on the KÜHLA factory premises in Langförden began. 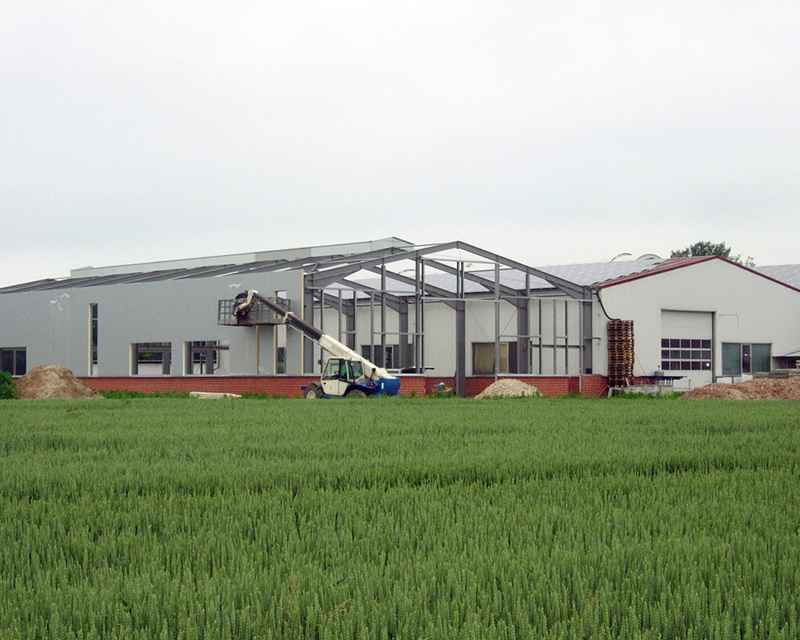 By summer 2010, the factory workshop shall be ready and be used as an additional manufacturing site. 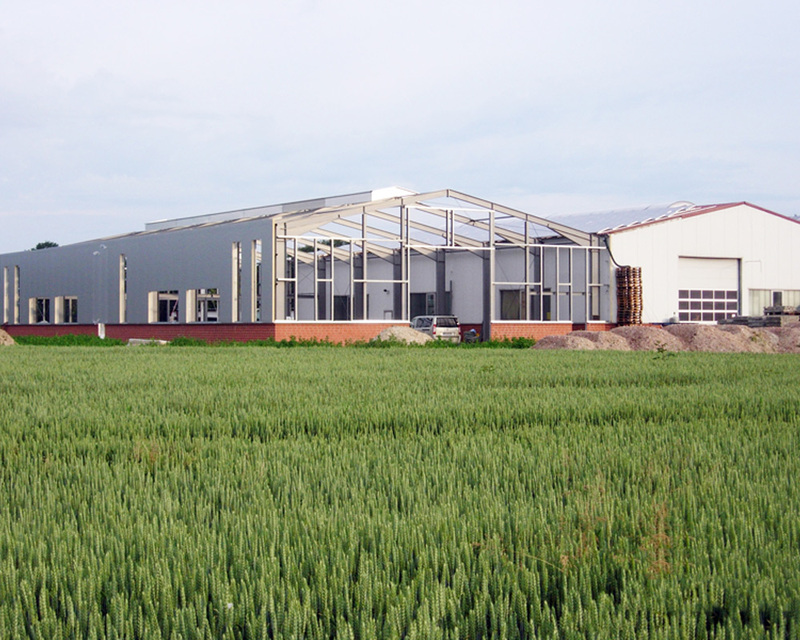 With the building KÜHLA takes account to the sustained good order situation in the last years. Here you can find further information as PDF for +++ Download.